The Netherlands – At ISE 2018, DPA Microphones will launch d:sign, the latest product group to join its d: branding that already encompasses d:facto, d:vote; d:screet; d:mension and d:dicate. 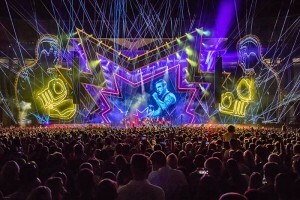 UK – When LD Sam Tozer provided his dynamic light show for the BBK Festival at the O2 Arena in London over August Bank Holiday weekend, he called on an abundance of GLP’s award-winning X4 Bar 20 battens for the marathon event. 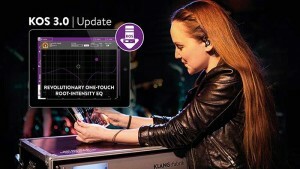 KLANG:technologies has announced the release of KOS 3, a major upgrade to its operating system. KOS 3 introduces many new features that provide user benefits and an improved workflow when working with the KLANG 3D in-ear mixing system. The Netherlands – Premium architectural and installation LED lighting manufacturer Anolis will showcase a mix of new innovations and popular product ranges on stand 7-X195 at the 2018 Integrated Systems Europe Exhibition (ISE) at Amsterdam’s RAI. UK – Formed only in 2015, The Hunna is four-piece English rock band whose career is sky-rocketing. Their debut album, 100, was released in August 2016, and is soon to be followed by their second album, Dare, in May 2018. The hard-working band kicked off 2018 by performing six back-to-back gigs in UK O2 academies in early January in support of the new album. 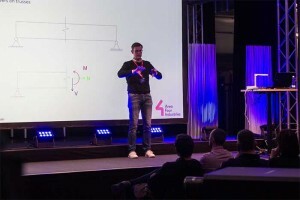 Germany – Area Four Industries' technical director Norbert Tripp was one of the distinguished speakers selected to make presentations at the fourth Annual AV Alliance Academy Days held in Stuttgart, Germany on 4th and 5th December. Europe – The MSC Meraviglia is a new-generation mega-ship and the first of a new fleet of high-tech cruise ships that MSC Cruises is launching over the next decade. 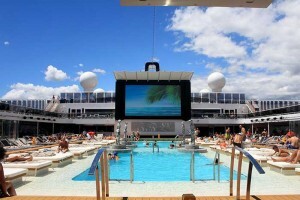 Built by STX France at the Chantiers de l'Atlantique shipyard, the 5,700-passenger capacity cruiser is fitted out with the latest in cutting-edge technology, including a large energy-efficient Elation Professional LED lighting package used in the ship’s entertainment and relaxation areas. 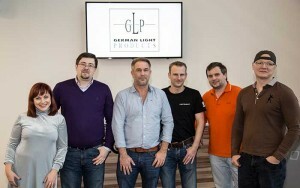 Russia – GLP ended 2017 by establishing a further territorial base, with the announcement of GLP Russia. This provides a further strategic GLP base on the world map, with a tried and trusted professional lighting team at the helm. 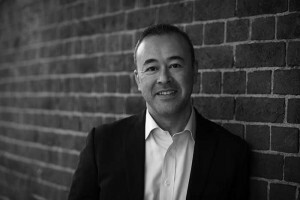 UK – London-based technology industry expert Paul Wong has been appointed managing director of Avolites. 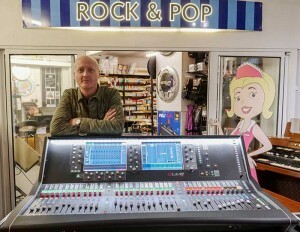 UK – Over the past few months, Yamaha Commercial Audio (CA) has been assembling a new, dynamic and expanded UK sales team. With well-known Yamaha faces being joined by knowledgeable new staff under the direction of sales and marketing director Robert Webster, the team’s collective wealth of industry experience ensures that Yamaha’s UK pre- and post-sales service and support is better than it has ever been. The new SF2H series, includes a slim bezel design that maximises the viewable screen area and 700 cd/m2 brightness, providing greater impact to standard signage technology. PR Lighting has announced the release of the new XLED 6019 wash luminaire, which will make its debut on the world stage in April at Frankfurt Prolight+Sound. 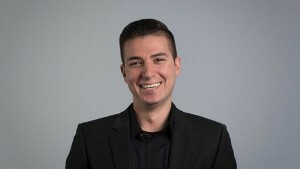 Italy – Leading European manufacturer of loudspeakers and associated products, Outline has announced the appointment of Fernando Rey Mendez to the newly-created position of Newton product specialist. Australia – Showtech Australia is one of a growing number of companies investing in and using Kinesys automation products regularly in both their day-to-day and custom work. 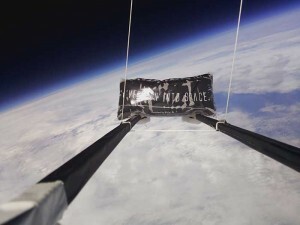 UK - A Zero 88 FLX S24 console was used to launch a high altitude balloon into near space, reaching the stratosphere at around 30 kilometres, complete with an FLX S Range T-shirt as part of the payload; arguably the first entertainment technology industry astro T-shirt to make the journey to space and back! 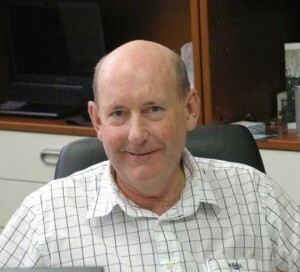 Oceania and South-East Asia – Meyer Sound has announced appointment of Chris D’bais to the newly created position of business development, Oceania and South-East Asia. D’bais will be based in Brisbane, Australia and will serve as a direct factory representative for Meyer Sound across Oceania (Australia, New Zealand and the Pacific Islands) mainland and maritime South-East Asia, as well as in Taiwan and Hong Kong. 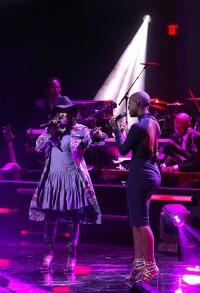 USA – The 2018 Bounce Trumpet Awards were held Saturday, 20th January, 2018 at the Cobb Energy Performing Arts Centre with a lighting package supplied by Bandit Lites. The annual event honours African-American contributions and achievements and will air on television exclusively on Bounce, Sunday, 11th February at 9pm ET. 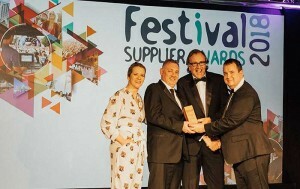 UK – Arena Group enjoyed a night of successes at the Festival Supplier Awards on 25th January, picking up Best Temporary Structure Supplier as well as a silver commendation in the much sought-after overall Best Supplier Award. Worldwide – German fibre network giant Optocore ended 2017 on a high, by reporting substantial investments by consolidated resellers in further Optocore devices, from all over the world. 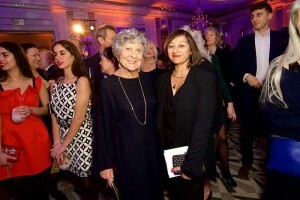 UK – Recently, White Light delivered the technical solutions for The Community Awards of Mayfair and St James’s at Claridge’s, a Mayfair Times event organised by 4 The People. The Community Awards of Mayfair and St James’s recognises the community that binds Mayfair and St James’s together. They focus on the people who help create and maintain the spirit and ethos of these twin districts and celebrate their journeys. 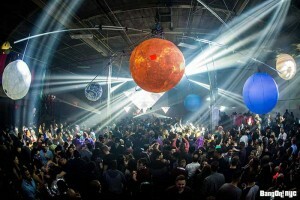 USA – Entering the BangON NYC party at Brooklyn’s East Williamsburg Warehouse on 31st December instantly conjured up feelings of journeying deep into our solar system. Hanging from the ceiling, as if floating through the vastness of space, were very large, colourful planetary orbs. The generously proportioned building, which stretches for nearly a city block and has a 35’ ceiling, served as an ideal setting for this celestial scene. 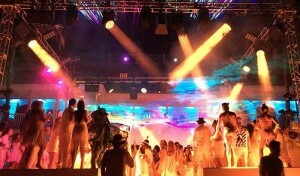 It also provided Spencer Lavoie and Kyle McHugh with room to create an astronomically powerful light show that tied these heavenly bodies and other scenic elements into a transformative visual panorama with help from a collection of Chauvet Professional Rogue fixtures. From now until 31st March, Milos will focus on the custom solutions offered to all Milos clients that satisfy a wide range of needs and projects, from small exhibition displays and concert roofs to the largest and most demanding live event structures. No matter what requirements, the Milos in-house design department and resident structural engineer are ready to develop a perfectly tailored solution for the next event. 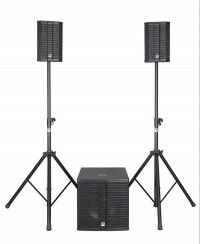 NEXT-proaudio has focused on installed and small portable sound solutions with a passive column array series addition to its catalogue. 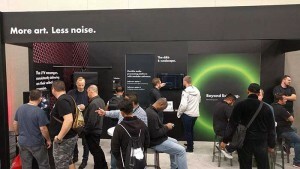 USA –Among the palm trees and sunny California skies at the 2018 NAMM show, the d&b audiotechnik team could be found amidst a crowded exhibition stand and demo room, buzzing about the upcoming release of the d&b Soundscape. Finland – One of Finland’s most popular singers, Suvi Teräsniska, relies on Allen & Heath’s dLive for FoH and monitors at over 100 concerts every year. 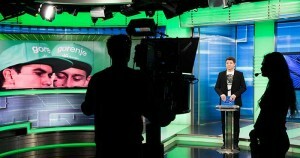 Slovenia – Philips Lighting has announced that its LED studio lighting fixtures have been chosen to provide professional quality, low-energy lighting solutions for Slovenia's leading commercial television studio, POP TV. UK – Following his triumphant year as the biggest UK breakout star of 2017, double Brit Award Rag’n’Bone Man, AKA Rory Graham, headlined Edinburgh’s Hogmanay Concert in the Gardens, the best New Year celebration in the UK, if not the world. 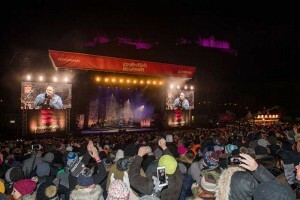 Edinburgh's Hogmanay was the place to be to send off the 70th anniversary of Edinburgh as the festival city and kick off 2018 with a stellar musical line-up. 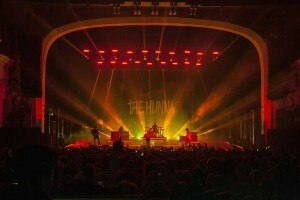 UK – Lighting designer Tom Campbell fully embraced the Robe MegaPointe buzz on a recent UK tour by indie rockers The Hunna (surfing high on the 2018 ‘ones-to-watch’ list) by utilising 37 of these trending new moving lights at the core of his design. 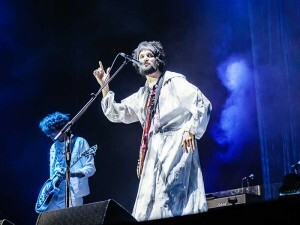 UK – As fine a reputation in edgy relevance as fans could wish for, Kasabian continue to confront them with an ever-evolving musical output. 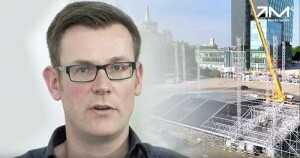 “It’s a totally different dynamic,”said their long-time director of video, Paul Eggy Eggerton. And well he might; while other bands join the expanding club of content driven video backdrops, Kasabian take the braver route, relying on their live stage energy to carry the crowd. UK - To universal acclamation Kasabian are rated one of the best live acts in the UK. A cursory glance reveals a tight little four-piece rock band with an insatiable appetite for musical exploration. Sounds simple, but far from it. 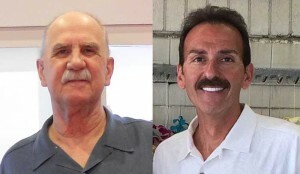 USA – City Theatrical has announced the addition of two experienced lighting professionals to its sales team, John Demous and David Sousa. 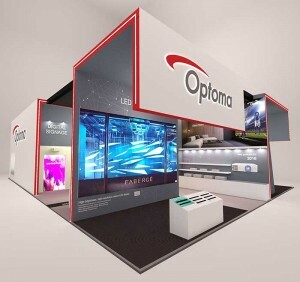 The Netherlands – Optoma has just announced a new visual display technology for the company with its range of 4K UHD, Full HD and custom LED displays and compatible scaler-switchers. 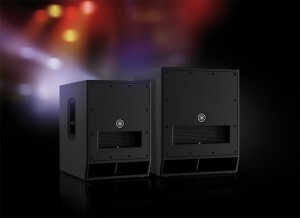 Mackie has announced a new line of affordable, high-quality, audio tools for studio and live sound. 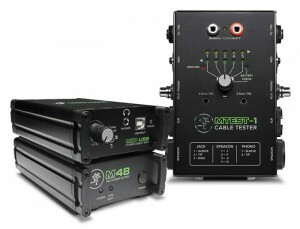 With the MDB Series direct boxes, the MTest-1 cable tester and M48 phantom power supply, Mackie now offers essential tools for studio and live sound applications with their proven Built-Like-a-Tank construction and premium analogue circuitry. UK – CPL, working for event producers Bright, supplied lighting, sound and video equipment and a number of creative and practical technical solutions for Bristol Vision 2017, an inspirational and networking event staged at the Anson Rooms, Bristol University, organised by Bristol Media for individuals and companies engaged in media and communications sectors. 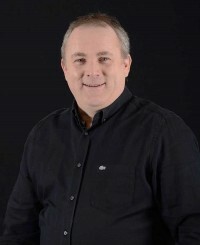 USA – Kevin Loretto, popular New York-based lighting and technical sales specialist died on 23rd January in New York, surrounded by his loving family, after a lengthy battle with cancer. Yamaha has announced the release of the newest additions to the DXS Series of powered subwoofers, the DXS15mkII and DXS12mkII. These new models offer an upgrade in performance from the previous DXS15 and DXS12, delivering higher maximum SPL from a more powerful amplifier, as well as an extended low frequency response. 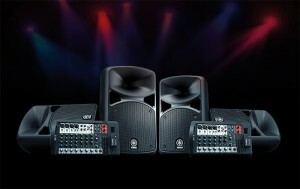 Yamaha has released the two latest models in the popular STAGEPAS line-up of portable PA systems, the STAGEPAS 400BT and 600BT. 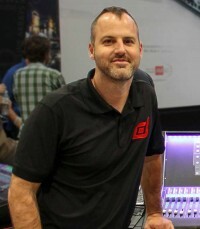 USA – Founded in the early 1970s as a live sound company, Ashly Audio has been building pro audio gear that is uniquely robust, easy to use, and reliable. Based on that proud legacy, Ashly is proud to introduce the new digiMIX18 digital mixer, at the Winter NAMM Show 2018, in Anaheim, California. 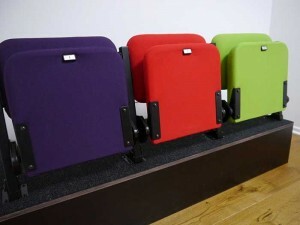 Audience Systems’ R&D team have hatched a clever little fold-down chair to help make their well-regarded retractable seating accessible to more venues. 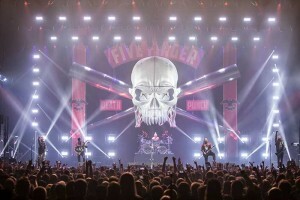 Europe – Swedish LD, Fredrik Stormby has been making prolific use of GLP’s new generation JDC1 hybrid strobe on tour with Gothenburg-based heavy metal band, In Flames, on their European arena tour with co-headliners, 5-Finger Death Punch (FFDP). With the growth of multi-purpose and mixed-use venues, music and performance applications demand quality critical production networks, to cost effectively stage events of any scale. 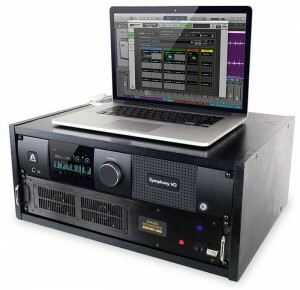 Cadac MegaCOMMS enables mixing, control and networking of multi-channel studio quality audio, across networks of up to 3072 channels of time-aligned, phase-coherent audio, at distances of up to two kilometres. Mackie has announced for the first time a complete line of high performance in-ear monitors, the MP Series professional in-ear monitors. Available in three models, the MP-120, MP-220, and MP-240, the MP Series delivers the great sound and build quality that Mackie is known for in a whole new way to performers. 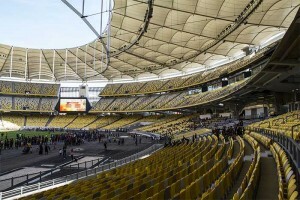 Malaysia – This summer saw the completion of the first phase of the transformation of Malaysia’s Bukit Jalil National Sports Complex into one of Asia’s top sporting venues, KL Sports City. This ambitious project included the installation of an L-Acoustics loudspeaker system into the 85,000-seater National Stadium, now considered the biggest stadium in Malaysia and Southeast Asia, which needed to be ready in time for August’s 29th SEA Games and 9th ASEAN Para Games. 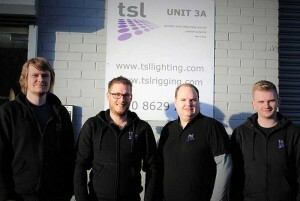 UK – Lighting and rigging provider TSL has announced that Colin Paxton will now be managing its busy dry hire department. 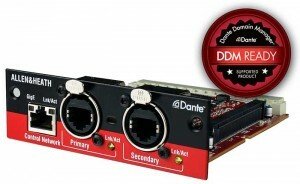 Allen & Heath has announced Dante Domain Manager support for its dLive and GLD digital mixing systems via the M-Dante audio networking card, further widening their use in install applications. 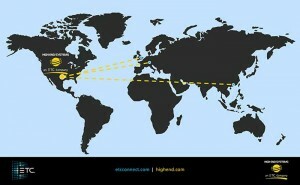 USA – AWS re: Invent is an event, held annually by Amazon Web Services. It is the biggest event of the year for Amazon's cloud division, when customers and developers descend on Las Vegas. 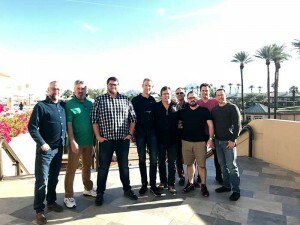 More than 30,000 delegates attended the event, held at The Sands Expo and Convention Center at the end of 2017 to hear Amazon Web Services executives announce new tools and share the stage with representatives from big companies touting its AWS usage. 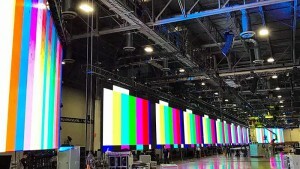 For 2017 Amazon wanted a 400ft high-resolution LED wall suspended as their primary design and backdrop. Production company ZED Ink knew that with LED dimensions like these, the weight quickly adds up, so they brought on board Cassidyrig to assist with the project and monitor the loads. UK – S+H Technical, specialist for LED visual effects, drapes and starcloths, supplied a varied and spectacular array of high profile television shows in the run up to a bumper festive season, including Strictly Come Dancing, Children in Need and the final of 2017’s X Factor UK. 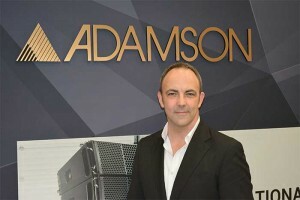 USA – Adamson Systems Engineering has appointed audio industry veteran Lin Buck to the position of director of sales for the United States, working as an integral part of the team led by Marc Bertrand, managing director of Adamson Americas. 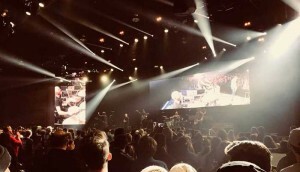 USA – The snowy mountains of Tennessee made for a beautiful backdrop as scores of students arrived for the Xtreme Winter Conferences, three days of live music, uplifting messages and worship. 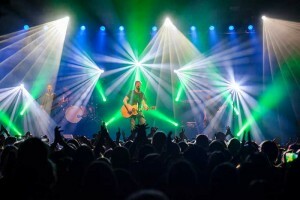 Bandit Lites supplied the lighting package for the three Gatlinburg sessions, which took place from 27th December to 2nd January at the Gatlinburg Convention Center. Zimbabwe – Glimmering in the middle of a beautifully manicured park, the Rainbow Towers Hotel and Conference Center sparkles with the hope of Africa’s future. As such it served as a fitting site for the Jabula New Life Covenant Church’s “Open Sunday,” an event intended to inspired congregation members and reach out to new worshippers. 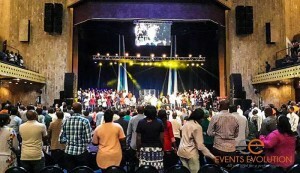 A crowd of 4,500 people filled the centre's auditorium on 14th January for the uplifting service. They were moved by beautiful praise music and impassioned preaching, most notably by Bishop Tudor Bismark, the church’s pastor and chair of the Council of African Apostles. 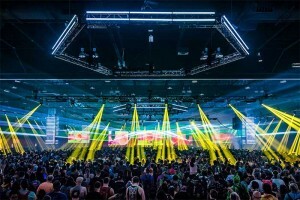 USA – For the very first time, d&b is heading to NAMM at the Anaheim Convention Center in California. The trade show, spanning 25th to 28th January, promotes the benefits of making music and offers the latest technology in music and sound products on display for more than 90,000 visitors. 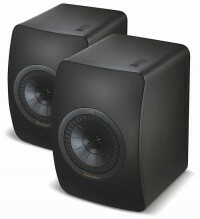 Five years since the launch of the anniversary model LS50, KEF has just launched a special LS50 black edition. 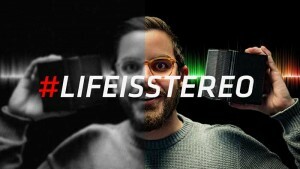 The Netherlands – In the year of Alcons Audio’s 15th anniversary, ISE 2018 sees the company showing several new products, as well as the return of the popular, expanded Pro-Ribbon Immersive Experience. The company is also an official ISE technology partner. 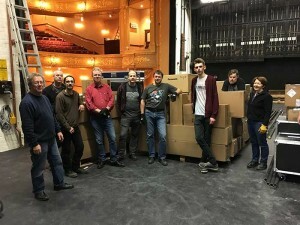 UK – The Ambassador Theatre Group (ATG) is now able to offer more premium seating to its patrons at the Bristol Hippodrome than ever before, thanks to a major refurbishment of the auditorium which includes a brand new pit lift system installed by Unusual Rigging. 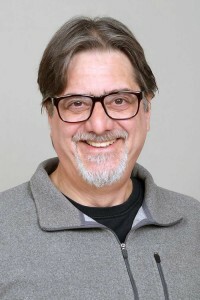 USA – Martin Audio North America has named Paul Giansante as product support specialist. 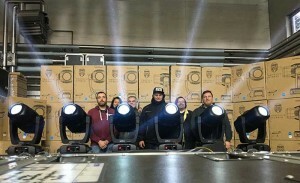 Germany – Multi Media Marketing & Event GmbH of Münster, Germany, in the north-west part of the country, has expanded its inventory of Elation Professional lighting through the purchase of 16 IP65-rated Proteus Hybrid spot/beam/wash lights and 12 Paladin strobe/blinder/wash lights, both weatherproof hybrid models. 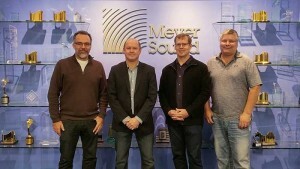 Australia – Audio Brands Australia has been named as the exclusive Meyer Sound distributor for Australia, with the appointment also extending to New Zealand through a partnership with Pacific AV. Effective immediately, Audio Brands Australia will be responsible for sales, technical support and service of Meyer Sound products across all markets, including touring and AV rental, performing arts venues, houses of worship, hospitality, cinema and studio. The Netherlands - A warm welcome awaits visitors at the ISE Highlite booth, where Vintage Blaze ’55 will greet them in Retro style! The crisp sound from the Xi-series installation speakers and the Pre-launch of the new Infinity Signature series are discoveries that should not be missed! 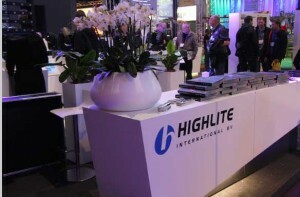 Highlite will be on Booth 7-X190 and registeration is at http://www.iseurope.org/register.php Entrance is free when entering promotional code 704792 during registration. 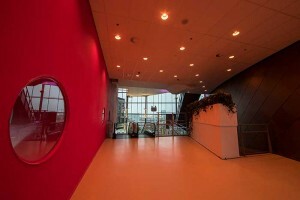 The Netherlands – L-Acoustics has announced that it will be exhibiting at Integrated Systems Europe, held from 6th - 9th February at the RAI in Amsterdam, where it will welcome visitors to stand 7-X220 to meet the L-Acoustics team and learn more about the L-ISA Immersive Sound Art platform and view the new Island by L-ISA. 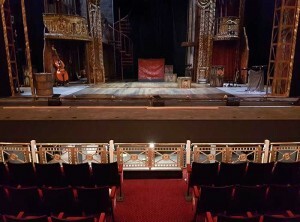 UK – The Bristol Hippodrome is one of Britain’s top provincial theatres, catering for the widest possible variety of tastes with its programme of musicals, ballet, opera, concerts, comedians and pantomime. A Grade II listed building designed by leading theatre architect Frank Matcham, the Hippodrome opened for business in 1912 with a variety bill which included the rare sight of diving horses, accommodated by a huge water at the front of the stage, containing 100,000 gallons of water. From its spectacular origins, the Hippodrome’s stunning Edwardian interior has witnessed Broadway and West End musicals, survived the aerial bombardments World War II and remains one of the finest examples of its kind in the UK. 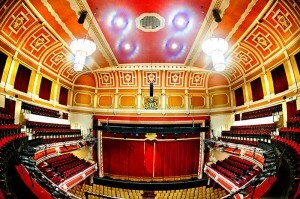 Last year, having reached the venerable age of 105 years old, Bristol Hippodrome, grand old dame that it is, was due a facelift, part of which was to replace its tungsten house light system with a modern, sustainable LED alternative. 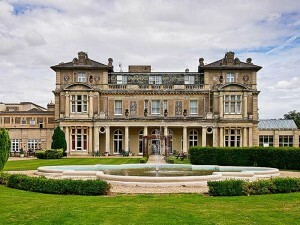 UK – Founded in 1963 by legendary violinist Yehudi Menuhin, The Yehudi Menuhin School is a specialist music school based in Surrey. Its purpose is to provide an environment and tuition for musically gifted children from all over the world to develop their musical potential. 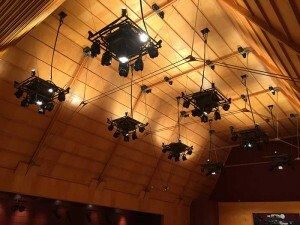 Part of the facilities include The Menuhin Hall which is frequently used for live performances. The School recently decided to upgrade the chandelier lighting within the Hall and approached White Light to deliver the installation. 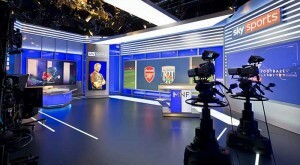 UK – Illumination specialists LED Creative are pleased to have provided their Alpha 60 RGB led system as part of the recent upgrade to the prestigious SKY Sports Studios at the broadcaster’s West London Headquarters. 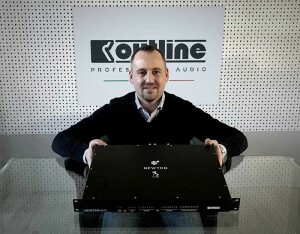 Italy - Outline s.r.l., a European manufacturer of professional loudspeaker systems and associated products, has announced the appointment of Leonardo Dani to the post of deputy general manager of sales. India – The Kankaria Carnival 2017, which took place in the Indian city of Ahmedabad (Gujarat), between December 25-31, was brought to life by PR XR330 Beams throughout the seven days. Denmark – For the third year in a row, lighting designer Martin Holst was commissioned to illuminate Realdania’s beautiful building during Copenhagen’s Culture Night 2017. Despite countless of happenings for the city’s biggest annual one-day event, Realdania’s 50m tall building was hard to miss with a fiery red illumination created with various SGM fixtures. UK – Adlib supplied lighting, audio, production and crew for the highly festive ‘Christmas with the Overtones’ tour, renewing a long term working relationship with the popular five-piece harmony group. USA – The stars truly unite for Dead & Company, the celebrated group featuring original Grateful Dead members Mickey Hart, Bill Kreutzmann and Bob Weir alongside singer/guitarist John Mayer, Allman Brothers’ bassist Oteil Burbridge and Fare Thee Well and RatDog keyboardist Jeff Chimenti. The Philippines – Resorts World Manila (RWM) is the first and largest integrated resort in the Philippines. It is a one-stop, non-stop entertainment and leisure destination that features gaming, world-class entertainment, unique events and exciting lifestyle options. 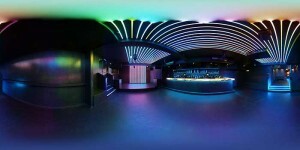 Bar 360’s name is a descriptive one because not only is the stage 360 degrees around, the bar itself runs 360 degrees around the stage, then the dance floor and audience seating surrounds it all, 360 degrees all the way around. As one can imagine, this circular layout presents quite an audio production challenge, especially when one also considers Bar 360 is located right in the centre of the casino’s gaming floor generating its own collection of dissonant sounds. 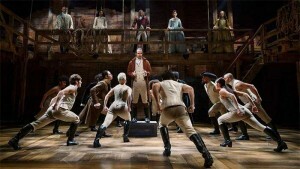 USA – Hamilton is one of the most successful productions to hit Broadway since Phantom of the Opera. 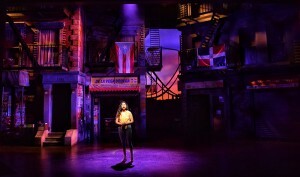 Blending American history with hip-hop and the magic of live theatre, the Pulitzer and Tony award-winning musical is now taking the Broadway smash hit across North America and overseas. Thanks to the powerful low-end sound reinforcement of PK Sound’s Gravity 30 subwoofers, featuring Powersoft's cutting-edge M-Force amplification technology, fans of the runaway hit will get to feel all the magic of the Broadway version of Hamilton. 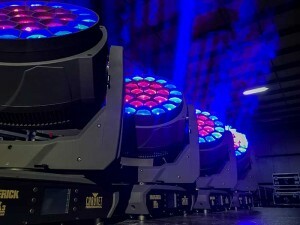 USA – “Expanding creativity” is a phrase Chauvet Professional has used to describe the impact that its new Maverick MK Pyxis is having on lighting design. 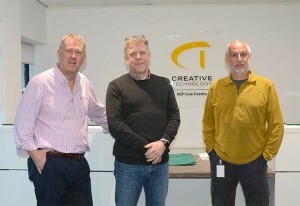 Now the revolutionary moving wash/beam will be opening creative horizons for even more designers, thanks to the decision by 4Wall Entertainment to add the versatile fixture to the company’s rental inventory. 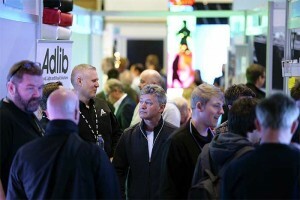 UK – PLASA Focus Glasgow kicked off the 2018 show season last week, providing a regional platform for professionals in the industry to connect and discover the latest technology in the market. USA – has announced that its new VLZ range of LED-based stage luminaires have been chosen to bring a new era of high performance, energy efficient lighting to the busy Novo by Microsoft, a live entertainment venue at the L.A. LIVE sports and entertainment district in Los Angeles. 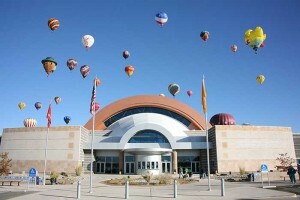 USA – The Anderson Abruzzo Albuquerque International Balloon Museum in Albuquerque showcases the beauty, ingenuity and history of lighter-than-air flight in a building that has become a beloved landmark in its home town. Thanks to new control products from ETC the museum was able to modernise its lighting control, offering a dynamic lighting environment that was also more energy efficient. The Netherlands – Elation Professional is taking momentum from a very successful 2017 to the ISE show in Amsterdam with a number of cutting-edge products set to inspire at Stand 12-F50. Owing to popular demand, Martin Audio has extended its successful series of monthly educational webinars to include additional products, software platforms and now guest presenters on application deployment. 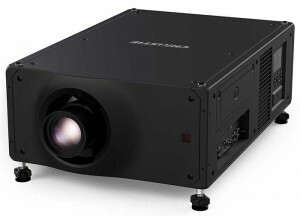 The Netherlands – The new Christie Crimson Series of 3DLP laser phosphor projectors will be on show at ISE 2018, delivering up to 25,000 ISO lumens, 60Hz processing, and Christie BoldColor technology in a compact and rugged package with a low cost of ownership for rental, staging and fixed installation customers. For further cost savings, customers can upgrade from their existing Christie M Series and J Series to experience the lamp-free technology of the Crimson WU25 and HD25 without needing to purchase new lenses. 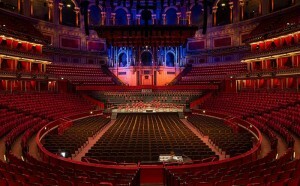 UK – The Royal Albert Hall is one of the world’s most historic concert halls. 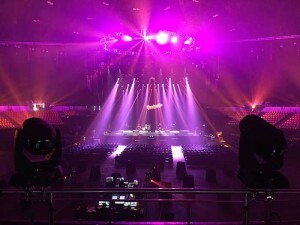 It has housed over 155,000 live performances and has a capacity of up to 6,000. 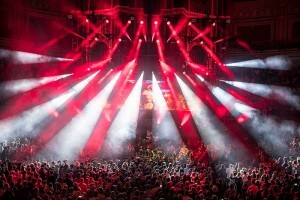 The iconic main hall plays host to a range of events to over 1.7 million visitors annually, whether it’s live concerts, the BBC Proms, tennis tournaments, Films in Concert promoted by the RAH, Cirque du Soleil and many more. 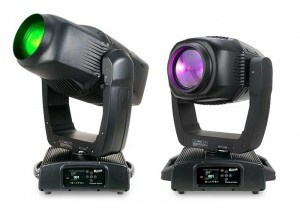 The venue recently decided to invest in a range of Robert Juliat Cyrano 2500W HMI followspots and approached White Light to make the purchase. Belgium – Entertainment engineering specialists WIcreations supplied flying and stage automation equipment, expertise and crew to the recent Marmalade production of Disney’s “The Little Mermaid”, staged in Halls 7 and 8 of the Ghent Expo in Belgium, which ran from the 17th of December until the 7th of January. Croatia – Croatian pop singer Petar Grašo completed a trio of sold out high-profile arena shows at the Spaladium Arena in Split, the Roman Arena in Pula and finishing up at Zagreb Arena, with lighting, video and scenography designed by Sven Kučinić. 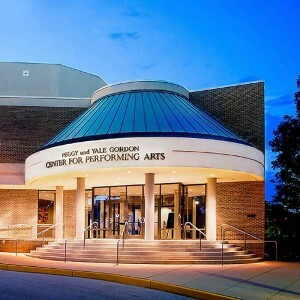 USA – The Gordon Center for the Performing Arts is an acoustically-stunning, 550-seat venue in Owings Mills, Maryland, a suburb of Baltimore. 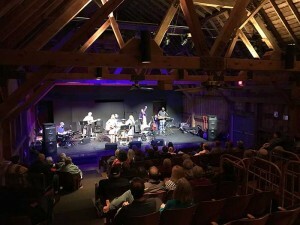 A regional cultural clearing house, the Gordon Center hosts all manner of musical acts, from local to national, dance performances, comedies, plays, lectures, family shows, and films. With the help of Baltimore-based A/V integration firm HP Electronics, the Gordon Center recently upgraded its sound reinforcement system with Danley’s SH-96HO loudspeakers, Danley TH-118 subwoofers, and Danley’s new DNA-Series amplifiers, with onboard DSP and presets for every Danley loudspeaker and subwoofer. 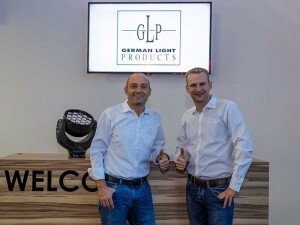 Germany – Pro audio company HK Audio has entered into a non-exclusive collaboration with the German electro-acoustic alarm system firm Gräf & Meyer. Belgium – Belgian superstar rock band Clouseau celebrate a remarkable 30 year career which has embraced several musical transitions, dynamic side projects and the enduring loyalty of at least three generations of fans transcending four decades of popularity, and still giving off endless energy! UK – For the dance anthem generation, it seems there’s nothing in the musical universe that cannot be enhanced by the augmentation of a classic orchestral string section. 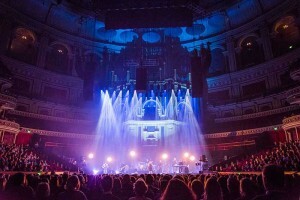 Pete Tong, with conductor Jules Buckley leading the New Heritage Orchestra, have just completed a triumphant campaign that saw them present ‘Ibiza Classics’ through the major Arenas of the UK. 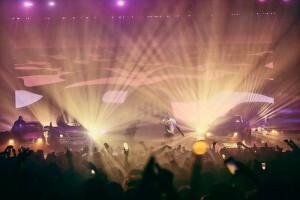 Whereas once the dance rave genre relied heavily upon the use of light and laser to animate what is essentially a static DJ performance, now the combination of live video and the addition of so many musicians makes for a heady concoction. Cross 3 is a brand new ground-breaking, high-performance cable protection product launched by Penn Elcom, which is tough, durable, fire-retardant, aesthetically pleasing and infinitely useful for any festival, concert, show, event or exhibition environment, indoors or outdoors. Europe – Feeling the heat and helping create the energy and industrial-strength visuals for award winning Swedish heavy metal band In Flames, lighting and production designer Fredrik Stormby of creative practice Greenwall Designs AB used 156 Robe BMFLs, a cool mix of 102 BMFL WashBeams and 54 BMFL Spots for their most recent tour. USA – Ayrton has announced the appointment of ACT Lighting, Inc. as its new exclusive distributor for the United States, with effect from 10th January 2018. France – L-Acoustics has announced that it has named a dedicated support team for the strategic and growing sports and cruise ship sectors, hiring Tom Williams to the role of applications engineer and appointing Scott Wakelin, who joined L-Acoustics in 2015 as regional sales manager, to the position of sales manager, sports facilities and cruise ships. Ireland – As one of Ireland’s most successful musical exports, Celtic Woman received a rapturous welcome upon returning to Dublin for a sell-out homecoming show. 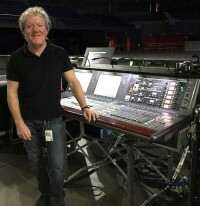 As expectations ran high among the four piece vocal ensemble’s legion of fans, the challenge for front of house engineer Michael Manning was to achieve the best possible audio coverage within the 3Arena. Helping him to do so was leading regional rental and events specialist Murt Whelan Sound, and the sonic superiority of X2 line-array loudspeakers from the X-Line Advance family by Electro-Voice. 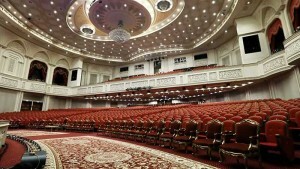 Egypt - Philips Lighting has announced that the prestigious new National Army Conference Center in Cairo has chosen a state-of-the-art lighting system and data infrastructure from Philips Entertainment Lighting for its 1,700-capacity main auditorium. 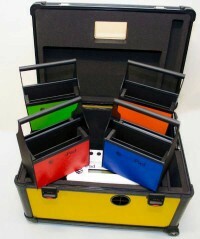 France – Green Hippo has announced the appointment of ESL France as its French distributor. The agreement will see ESL France exclusively distribute Green Hippo’s line of cutting-edge hardware and software throughout France’s hugely significant economy. The Bahamas – While an estimated one million people crowded into Times Square on New Year’s Eve to watch the famous ball drop, a far smaller crowd was gathering 1,102 miles away, under much balmier conditions, for another NYE tradition. The ringing in of the New Year is as eagerly anticipated at Albany Resort, a 600-acre upscale island paradise, as it is in the heart of the Big Apple. 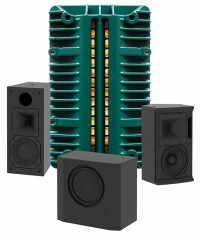 The CRMSC-SRHV reference surround is a two-way passive-filtered full range loudspeaker, designed to meet all requirements of current and future immersive surround sound formats for studios, screening rooms and high-end residential cinemas. 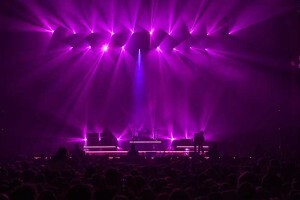 Worldwide – After lighting the band for nearly 13 years, experienced Irish LD Steven Douglas knows how to bring the best out of The Killers’ dynamic stage set. USA – New Year's Eve festivities at the luxury hotel Fontainebleau Miami Beach isn't just another NYE celebration. The ocean-front resort, with its iconic pool scape, has featured the likes of Lady Gaga, Drake and Justin Bieber at past celebrations and this year saw pop icon Demi Lovato and popular DJ KYGO ring in the New Year. 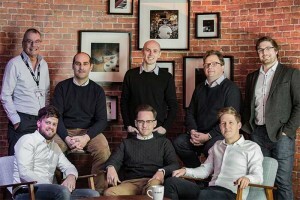 UK – Creative Technology’s London operation has recently recruited Richard Rogers and Chris Jordan to work as senior project managers in the audio team. Richard and Chris have long careers stretching back to the early eighties, spending most of that time working together on a wide range of audio projects in corporate events and theatre. 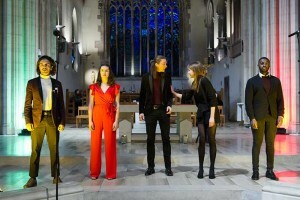 UK – The three Monteverdi ensembles – The Monteverdi Choir, English Baroque Soloists and Orchestre Revolutionnaire et Romantique – are a leading force on the international music scene. World-class musicians from across the globe come together to share the distinct vision of founder and artistic director Sir John Eliot Gardiner in ground-breaking projects. Last year, the choir and orchestras embarked on an international tour across Europe and the US. 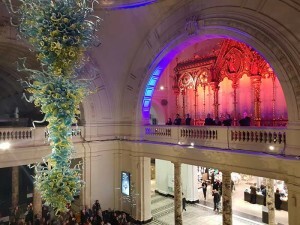 This culminated in a final concert at the V & A Museum’s Raphael Gallery and White Light provided the technical support. 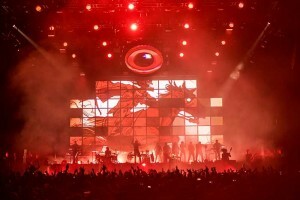 Worldwide – Imagine Dragons are members of an elite group of current rock bands that have gone from playing basements and dive bars to major arenas within the past 10 years, and for their Evolve World Tour in 2017, it was an Adamson E-Series system rocking the crowds from continent to continent. UK – It’s panto season again and as innuendos fly, slapstick humour is trowelled on and extravagant costumes and characters abound, entertaining thousands of people up and down the country. 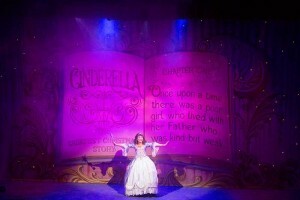 Lighting and visuals rental and production specialist HSL supplied equipment to a record 31 premium UK pantomime productions for the 2017-18 season for leading pantomime producers, Qdos. 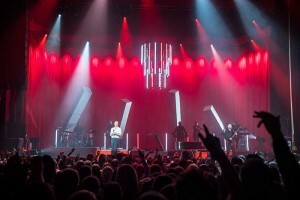 Europe – Colour Sound Experiment supplied lighting and crew to the most recent UK and European leg of synth pop duo Hurts “Desire” tour which included many adventures and the presentation of some superlative shows in more off-gig circuit reaches of Europe. USA – Southern hospitality was on full display as the Professional Convention Management Association (PCMA) convened on Nashville. Hosted by the Nashville Convention and Visitors Bureau at the historic Municipal Auditorium and featuring a lighting package provided by Bandit Lites, the attendees of this event spent three days networking with their colleagues from around the world and were treated to a performance by Grammy-award winning super group, Little Big Town. USA – Total Structures is starting the New Year with a new trade show. Setting up shop at the Anaheim Convention Center, visitors can come to booth 11738 to see the latest products from Total Structures, Pointman Lifting, and learn more about training opportunities. Need passes to the show? 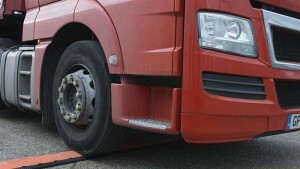 Discounted floor badges are available through 21st January. Go to the NAMM website and enter discount code "ESTA18NAMM" for a 50% discount. The show is open Thursday through Sunday, 25th to 28th January. 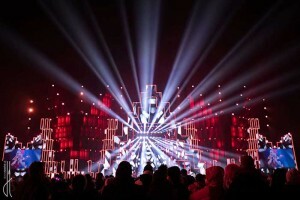 Poland– The city of Zakopane in southern Poland kicks off each year in a spectacular fashion with a high-energy NYE party hosted by television station TVP2. This year the show,which was produced by TVP, was even more impactful than usual with its massive stage and thanks to state-of-the-art lighting and video delivered by ARAM; lighting was designed by Adam Tyszka and a stunning stage design by production designer Giorgos Stylianou-Matsis. HK Audio has launched a mammoth online competition and giveaway to celebrate and spread the joys of stereo sound reproduction. 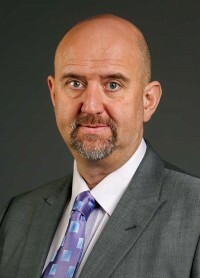 UK – A.C. Entertainment Technologies (AC-ET) Ltd. has announced that Chris Millard has joined the company's board of directors in the new role of technical director, with immediate effect. 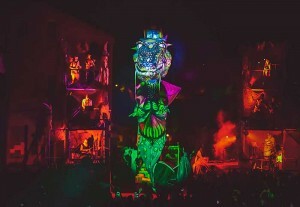 UK – Green Hippo has announced the ultimate 3D projection mapping masterclass experience. Led by the company’s HippoSchool training division, the projection mapping masterclass will take place in February and will deliver invaluable understanding of SHAPE, the hugely powerful projection mapping feature of Green Hippo’s award-winning Hippotizer V4 software. 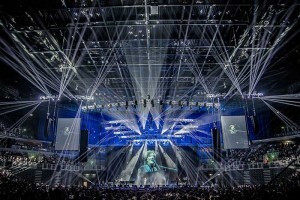 Worldwide – Taking the challenges of the audio industry in its stride one tour at a time, UK rental company Major Tom has built a stunning reputation for itself, providing world-class sound to some of the biggest touring acts on the circuit. 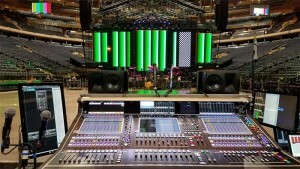 With a wealth of choice available when it comes to mixing consoles, there is a reason it keeps going back to DiGiCo. 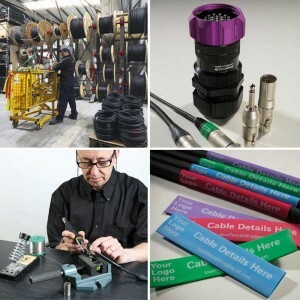 UK – Tourflex Cabling will showcase products from its extensive range of specialist cable assembly solutions, at PLASA Focus Glasgow 2018, SEC, 17th - 18th January. 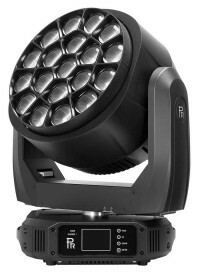 Germany – German dry hire company HELi Showequipment GmbH of Mainz provides lighting for events of all kinds and sizes and in December 2017 increased its inventory of weather-protected luminaires with the purchase of Elation Professional Proteus Hybrid IP65-rated moving heads, Elation’s award-winning beam/spot/wash that can be used under extreme conditions and in any type of weather. 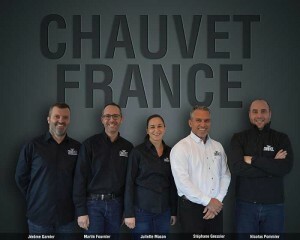 France – Chauvet, a leading global supplier of entertainment and architectural lighting, has announced the opening of Chauvet France, a wholly-owned subsidiary located in Paris. The new facility is responsible for directly distributing and supporting the company’s brands: Chauvet Professional, Chauvet DJ and Iluminarc in France. 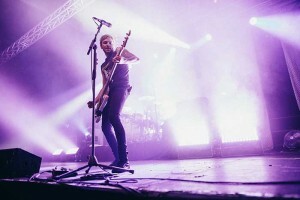 USA – Fall Out Boy has embarked on their sold-out arena “Mania Tour,” whose North American leg kicked off in Cleveland in October and wrapped up in Phoenix in November. UK dates will follow in the first quarter of 2018. 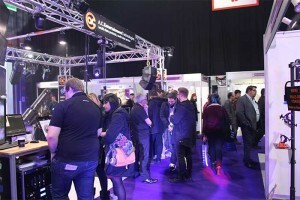 UK – PLASA Focus Glasgow will soon open the doors of the Scottish Event Campus for the fourth consecutive year with a vibrant and friendly atmosphere. Leading brands will be displaying their latest products, and the programme will see industry leaders giving inspiring talks, live demos, interactive workshops and panel discussions. 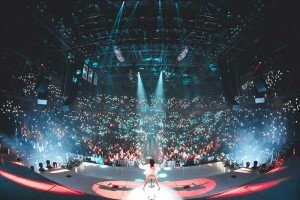 Worldwide – Before pop music artist Halsey set out on her world tour in support of her second album, Hopeless Fountain Kingdom, the singer’s FOH engineer Vincent Casamatta and monitor engineer Scott Wasilk thought it would be the perfect time to compare vocal microphones to ensure the best sound amplification possible while on the road. With many options, the duo thought they were in for a long, drawn out process. Fortunately, the first microphone they tried, the d:facto vocal microphone from DPA was also their last. UK - London Fashion Week Men’s Autumn/Winter 2018 Show started recently. This year marks the 11th season of the biannual celebration of British menswear and this year had more shows than ever before. One of these included the fashion label Ben Sherman who showcased their new Fall collection which was a collaboration with fashion designer Henry Holland. 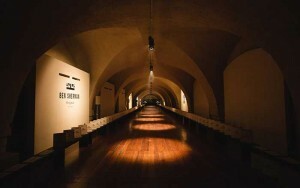 White Light provided the complete technical solutions for the showcase. USA – With the launch of the evolution wireless G4 series and two brand-new XS Wireless 1 Dual Sets, audio specialist Sennheiser is bringing a wide portfolio of exciting new wireless solutions to NAMM. Meanwhile leading studio microphone manufacturer Neumann is presenting a re-issue of the U 67, the quintessential studio workhorse of the 1960s. 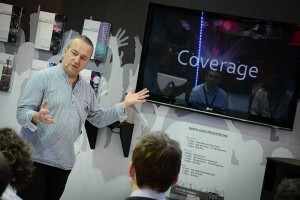 But it is not all about products: the Sennheiser and Neumann booth (Anaheim Convention Center North, Level 1, Booth No. 14110) is once again continuing its tradition of presenting a diverse and exciting roster of musical talent. 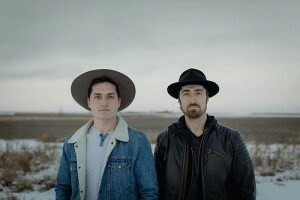 This year’s artists performing on the booth stage include singer-songwriter Rie Sinclair, contemporary roots duo The Talbott Brothers (pictured), and many more. Elation Professional is offering three new lighting control products designed to ease communication, optimise functionality and increase compatibility of intelligent lighting systems. The Netherlands – ETC will showcase a selection of its versatile and scalable architectural lighting control solutions at ISE 2018. Stand 15-R260 will be dedicated to a collection of reliable, well-supported and easy-to-maintain architectural systems from ETC, designed to suit installations of all sizes and budgets, from a single room to office complexes, large museums, convention centres and entire theme parks. UK – Cardiff-based events specialist 11th Hour will bring down the curtain on 2017 in some style when it delivers a firework spectacular for the Welsh capital. Commissioned by Sayers Amusements, with whom 11th Hour work closely to deliver Cardiff’s Winter Wonderland, the six minute extravaganza will be a fitting flourish to end a highly successful 11th year for this multi-faceted operation. Winter Wonderland itself is the site of 11th Hour’s flagship ice rink, one of a number that its teams construct and operate during the festive season and which have proved immensely popular amongst the public and businesses alike. 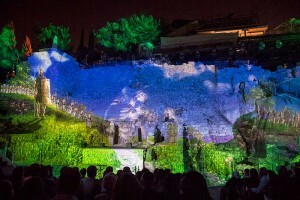 Israel – Robe Pointe and DL4S Profile moving lights have been installed as part of the spectacular City of David Light show, “Hallelujah”, in Jerusalem, a gripping and intense multimedia experience relating the history of the city which is projected onto the walls of the ancient citadel of King David, surrounded by the associated archaeological site and steeped in history dating back over 3,000 years. USA – Bicentennial Park was aglow with the lights from Bandit Lites as the city bid farewell to 2017 and kicked off 2018. Voted the best destination to ring in the new year by USA Today, Jack Daniel’s Music City Midnight: New Year’s Eve celebration boasted an estimated 100,000 in attendance. 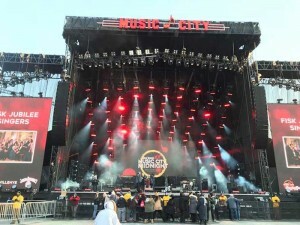 Following the famed Music City Note dropping at midnight, country music super star Keith Urban took the stage, while earlier performances included Maren Morris, Cheap Trick, Carly Pearce, Jonny P, Larkin Poe, and the Fisk Jubilee Singers. USA – Years ago, Mark 'Junior' Jacobson met a Milwaukee band, London USA. 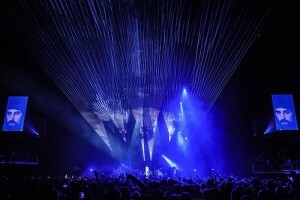 Fast forward a couple of decades and Jacobson’s career has soared to great heights as the lighting designer for a number of top artists, including multi-Grammy winning metal giants Tool. 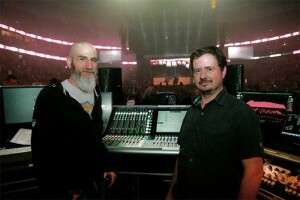 This fall, the well-known LD was reunited with his old friends when he stepped up to the FOH desk at the Saloon On Calhoun music hall to run the board for their “Not Dead Yet” reunion show. 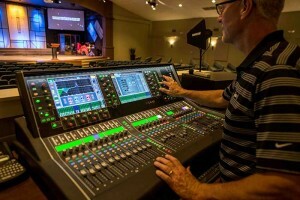 USA – Grace Fellowship Church in Bogart, Georgia has completed a major audio and video system upgrade including an Allen & Heath S Class Digital Mixing System with S5000 Surface, DM64 MixRack, DX32 Expander and seven ME-1 Personal Mixers with an ME-U Hub. The church hosts two contemporary worship services each Sunday with praise vocalists, a 30-voice choir and a band with keyboards, drums, acoustic and electric guitar and bass. 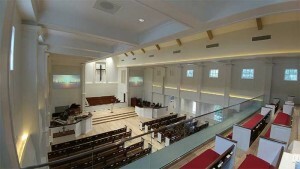 Services are recorded and live streamed over the church’s website. UK – Among the most exclusive live music venues in London, The Arts Club has recently invested in an Allen & Heath dLive digital mixing system as part of a significant audio upgrade programme. Europe - In response to the news that the EU is once again contemplating banning the use of tungsten halogen light bulbs in entertainment lighting, the Association of Lighting Designers (ALD) is co-ordinating a high speed effort to gather reasons why this ban should not move forward, particularly from those who would be materially affected by such a ban, in time to create a formal response before the end of the proposal’s consultation period on 26th January 2018. Dominican Republic – More than 50,000 fans packed the Dominican Republic's Olympic Stadium in November to experience The Festival Presidente, the Caribbean's largest international music festival. 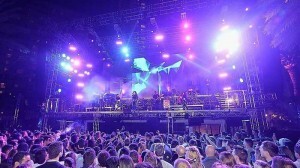 On the festival's opening night, Latin music star Gabriel performed in front of epic LED screens displaying florid, fast-paced graphics, powered by Avolites' Ai R8 media servers. UK – It had been more than 20 years since the EMAs descended on London, but it certainly did not look or sound that way at the SSE Arena on 12th November, 2017. 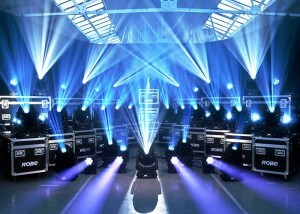 Hosted by Rita Ora, the production was in the safe hands of long-time MTV audio supplier, Britannia Row, whose specification this time around was dominated by DiGiCo. 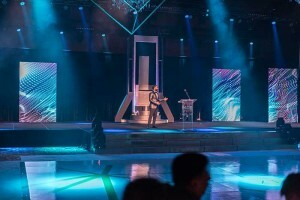 USA – For the second year running, Houston-based event staging company Stage Directions Inc. provided the creative visuals for the city’s annual “Toast to Living Well” Gala, considered Houston’s largest black tie event. 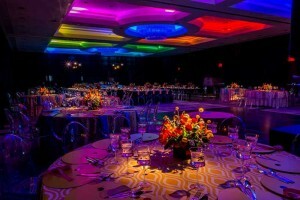 Held to raise funds for those affected by Hurricane Harvey, this year saw a large Elation lighting package light the variety of gala events. 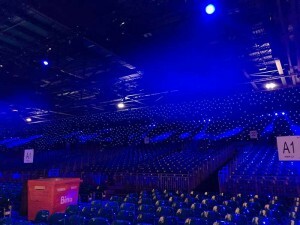 UK – In December, specialist lighting and rigging provider TSL successfully met the large-scale production requirements and tight deadlines for a festive event with a difference, the UK's largest carol service, staged at the SSE Wembley Arena, London. UK - Building on the success of their previous series of Open Days in September last year, Martin Audio is planning a further series of three Open Days at its High Wycombe HQ. These will take place between 13th - 15th March, 2018. USA – Nestled midway between New Orleans and Pensacola, Ocean Springs has a well-deserved reputation as one of the Gulf Coast's more laid-back beach communities. Voted one of the ten Happiest Seaside Towns by Coastal Living in 2015, its historic and sheltered downtown is home to numerous art galleries and shops. In 2005, Hurricane Katrina thrust Ocean Springs into the public eye, with photos of devastation including the badly damaged Biloxi Bay Bridge making national and international news. Austria – The former mining district of Schladming-Dachstein is considered one of the finest skiing areas in Austria during the season. It is also famous for the Men's World Cup Night Slalom – hailed by some as the biggest party in the Alps – attracting up to 50,000 spectators and skiing enthusiasts annually towards the end of January. USA – When the young man who celebrated his bar mitzvah at Georgetown’s upscale Park Hyatt was born in 2004, Pac-Man was about to celebrate its 25th anniversary. Such is the staying power of the iconic video game invented by Toru Iwatani, that the youngster opted to build his reception around a Pac-Man theme. Digital wall images of the yellow circular figure with the gaping mouth adorned the reception area, as did representations of the game’s famous labyrinth. 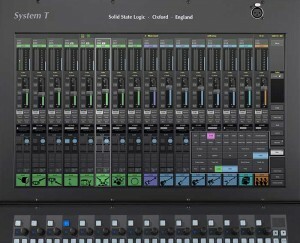 Solid State Logic has announced the release of DAW Control for System T. SSL is at the forefront of hybrid production technology that combines DAW Control with console functionality for the recording industry. 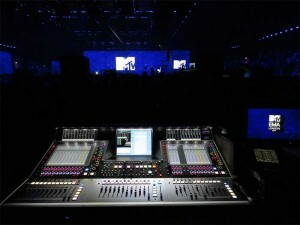 SSL’s expertise in this area brings the most comprehensive and streamlined DAW control system ever seen on a broadcast console to System T.
Moving Light Assistant is an application designed to document both the physical set-up and programming information for moving light rigs commonly used in the entertainment industry. 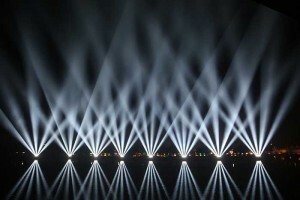 It is used by lighting designers, associates, assistants, programmers, and production electricians, as well as students. The student licence price was recently reduced to make this industry-leading software available to more upcoming lighting professionals. 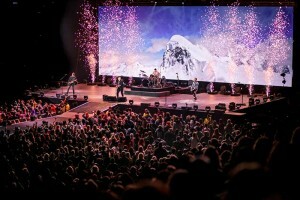 Worldwide – Britannia Row Productions was one of the first companies globally to make an investment in Sennheiser’s new Digital 6000 series, instantly deploying it on Robbie Williams’ The Heavy Entertainment Show tour, which started in Europe last summer and continues with dates in New Zealand and Australia in February and March this year. Robbie played to over 1.1 million fans during the first leg, which took in stadiums, fields and arenas around Europe, and Digital 6000 performed flawlessly throughout. 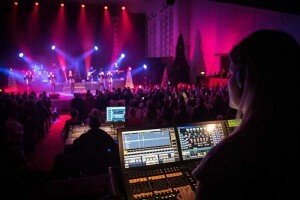 UK – Working with set designer Joshua Grace and lighting director Gurdip Mahal, LED Creative has played a part supporting the crew at A Night for the Emergency Services, a seasonal celebration and show of appreciation for the incredible work carried out by the nationwide heroes behind the uniforms. 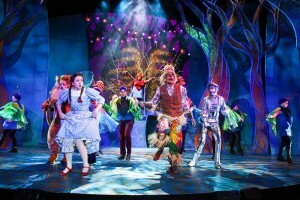 USA – Lighting designer Herrick Goldman used Elation Professional’s Artiste DaVinci LED moving head spot for colour and visual effects on a Syracuse Stage production of “The Wizard of Oz” and praised the award-winning luminaire as a flexible workhorse that performed a number of duties throughout the show. “The DaVinci took so much of the work load I could have saved the time and energy of hanging 25% of the light plot!” the LD exclaimed. 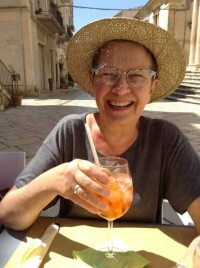 UK – Lesley Harmer, a well-known face in the world of entertainment technology PR,has taken a step back from the industry to embrace retirement this year. 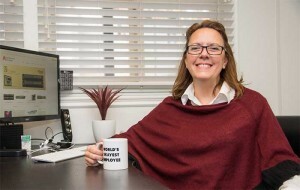 The move sees the business change to the new name of Sprand Communications, under the management of Lesley’s colleague Sarah Thomas, and the closure of Harmer PR, the business which Lesley started almost 40 years ago. UK – Robe MegaPointes are making their presence felt on the current European tour by Slovenian / Croatian duo 2CELLOS – Luka Šulić and Stjepan Hauser – with another jaw-dropping lighting design by Crt Birsa. 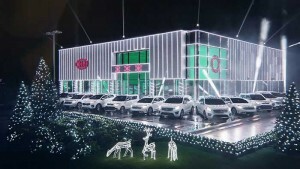 USA – For a 2017 holiday season TV commercial, LD Matthew Ardine transformed a Kia Motors America dealership into a spectacular, large-scale lighting display, celebrating the company’s year-end sales event. Set to the Trans-Siberian Orchestra’s stirring version of Christmas Eve in Sarajevo, the ad featured masterful pacing from subtle car headlights to a massive 65,000 DMX channel paragon of holiday lighting highlighting the showroom building and surrounding landscape. 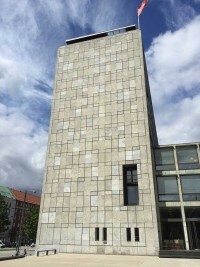 Featuring nearly 500 various lights communicating over two V-LAN groups, with a total of 75 Ethernet devices, the network relied heavily on its nerve centre, four ProPlex EZ-LANs. 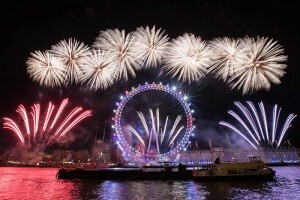 UK – London saw in the New Year with a world-class spectacular firework display. Jack Morton Worldwide, the global brand experience agency, created the experience – an event which it has conceived and produced for 14 consecutive years. 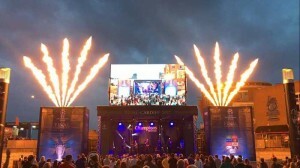 Contributing to this year’s event was a ChamSys MagicQ MQ500 Stadium console, which was used by lighting programmer Paul Cook to control the 18-universe light show that supported the firework display. 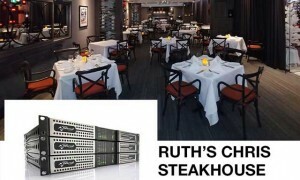 The Netherlands – The new Cloud CV8125 Digital Class-D Multi-Channel Amplifier, the first in a series of new digital amplifiers from Cloud Electronics, provides 125W output per channel across eight channels, plus two additional configurable AUX channels offering feature-rich functionality and class-leading performance for commercial audio installers and users. UK – At Ambersphere Solutions, staff are ready to welcome visitors to PLASA Focus at Glasgow’s SECC on 17th and 18th January. At Stand C1, the team will be on hand to discuss and demonstrate a selection of new products from the premier manufacturers Ambersphere is proud to represent. 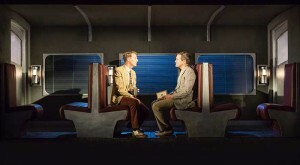 UK – Based on the world renowned 1950 novel by Patricia Highsmith, Strangers On A Train is a spine-chilling tale that tells the story of a fateful encounter between two men in the dining carriage of a train crossing America. Originally seen in the West End, the production is now being revived and is touring across the UK. Starring television favourites Christopher Harper, John Middleton and Hannah Tointon, it is adapted by Craig Warner and directed by Anthony Banks. 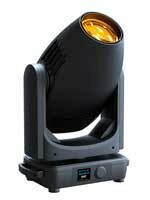 As a leading supplier to touring productions, White Light is providing the lighting equipment. 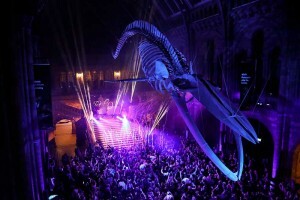 UK – The Natural History Museum made waves this New Year’s Eve, with 700 guests celebrating ‘Under the sea’ – themed festivities inspired by the Hintze Hall’s newly-installed blue whale skeleton. Bali – As we say goodbye to the old year and hello to the new, thoughts of those in the northern hemisphere inevitably turn forward towards summer, sunshine and holidays. 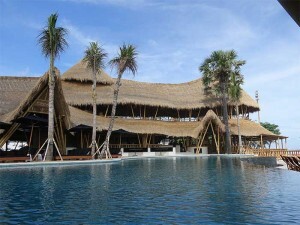 And where better to enjoy them than at Finn's Beach Club in Bali, where a new Yamaha audio installation is helping to deliver the best possible customer experience? 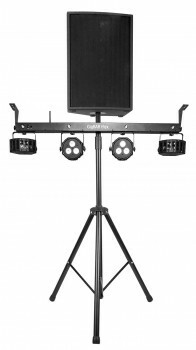 UK – Doughty Engineering is set to bring a prototype lightweight lighting stand to PLASA Focus in Glasgow next week. The new piece of kit is a lighter, aesthetically simpler version of the Tank Trap,and has been designed with the corporate events market in mind. 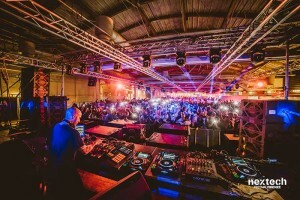 Italy – Florence’s Nextech festival chalked up a sold-out 12th edition in December at the city’s Fortezza da Basso under the Techno banner, with 3,000 fans flocking to see and hear the man many of them call the Techno King, Chris Liebing, ably preceded by a blistering set by up and coming local DJ Marco Effe. 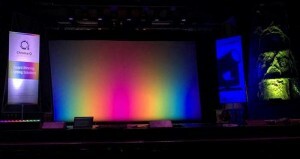 Denmark – Delegates thoroughly enjoyed the Live Company AS showcase event co-hosted with Chroma-Q, to allow rental production clients to experience the full potential of the multi award-winning Color Force II LED cyc, wash and effects light. The active 2.1 stereo LUCAS 2K is set to become the new companion of choice for on-the-go events like weddings, galas, and parties. There are two models available: LUCAS 2K15 featuring a 15” wooden bass reflex subwoofer, while LUCAS 2K18 comes with an 18” sub to offer even more low-end. Both systems are completed by a pair of 8”/1” satellites. 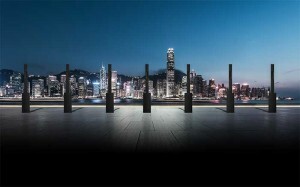 UK – Powersoft Quattrocanali amplifiers are providing the beating heart of a new entertainment experience in the UK. 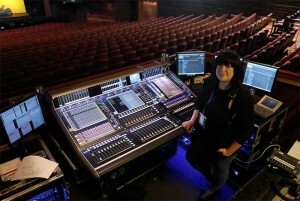 South Africa & Asia – South African audio engineer, Emily Adams, was working on Pieter Toerien’s previous production, Joseph and the Amazing Technicolour Dreamcoat, when she was asked to do Evita, the original West End and Broadway production of Tim Rice and Andrew Lloyd Webber’s iconic musical. The show premiered at Montecasino Teatro in Johannesburg and recently moved to the Cape Town’s Artscape Theatre and will tour Asia in 2018. 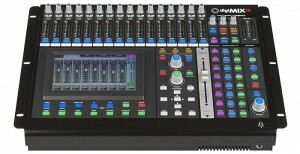 Emily is deploying a DiGiCo SD7T at the front of house position. 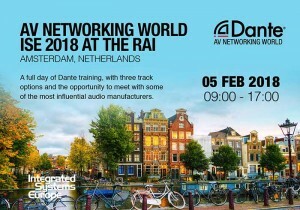 The Netherlands – Audinate, creator of the industry-leading Dante media networking technology, is expanding its Dante AV Networking World conference at ISE 2018 with a new track course covering tips, tricks and best practices. Taking place on 5th February at the Amsterdam RAI, the free day-long training event will offer training sessions geared at every experience level, as well as hands-on product demonstrations from leading audio brands. 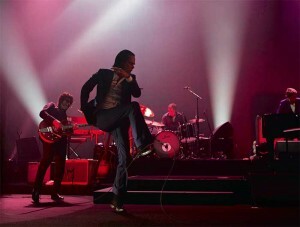 UK – Iconic Australian art rockers Nick Cave and The Bad Seeds were on the road for much of 2017, performing in world-renowned theatres and major arenas across Australia, North America, mainland Europe, and the UK. 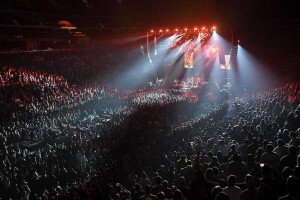 When it came to the large-scale venues like Manchester Arena and London’s O2 Arena, it was an E-Series audio system from Adamson Systems Engineering amplifying the band’s haunting melodies and weighty words for a notoriously dedicated fan base. Australia – L-Acoustics has announced the appointment of Jands as its new certified distribution partner for Australia, with effect from 1st January 2018. Jands’ distribution arm represents the best professional audio and lighting products, selected from the world’s most renowned suppliers. 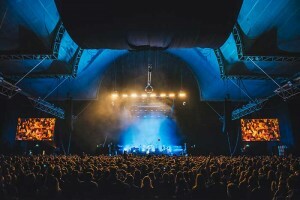 Jands is set to provide L-Acoustics with an increased penetration into the Australian marketplace, whilst adding L-Acoustics to its roster further solidifies Jands’ position as the go to distributor for premier brands. USA – Topping off an outstanding year, Symetrix has announced its 2017 dealer/sales representative and international distributor award winners. "As hard as we work to design and manufacture the best and most well-suited products for our markets, we're only as successful as our partner rep firms and distributors," insists Symetrix western sales manager Tim Murray. "These awards give well-earned recognition to some of our leading partners, and we're pleased to have this chance to say 'thank you.'" 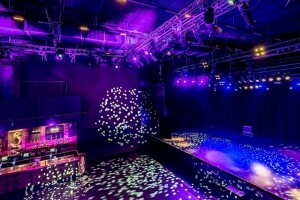 The Netherlands – As part of their recent move to expand Podium Victorie’s audience capacity, the owners of the cult Dutch club recently decided to move to an all-new inner city location. 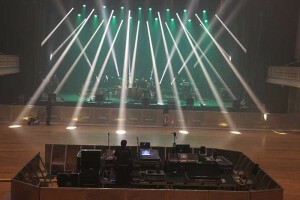 To make the move complete, the venue’s owners wanted to install a state-of-the-art lighting rig to provide visiting bands with the most modern powerful high-energy support. To this end, Dutch distributor Rolight upgraded the club’s stage lighting using Chauvet Professional Maverick, Rogue and COLORdash fixtures. 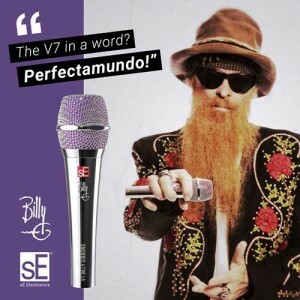 USA – New for the 2018 Winter NAMM Show, sE Electronics has announced the V7 BFG: a special chrome Signature Edition of sE’s acclaimed TEC-Award-nominated V7 dynamic microphone, created in partnership with Mr. Billy F. Gibbons – best known as the guitarist of ZZ Top. 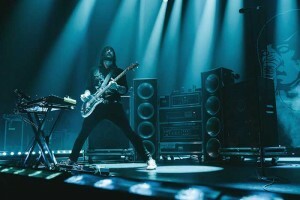 USA – Bandit Lites is thrilled to have supported Canadian rock band Death From Above on their recent fall tour. Comprised of drummer and vocalist Sebastien Grainger and bassist Jesse F. Keeler, the duo released their third studio album, Outrage! Is Now in September of 2017. 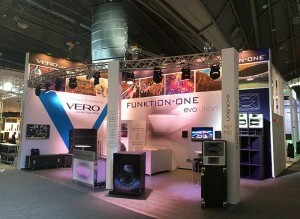 USA – Funktion-One will exhibit at NAMM for the first time and will use its 800 square feet stand – at North Hall Stand 18110 – to present loudspeakers from the breadth of its extensive product range, including US trade show debuts for Evolution and Vero, as well as the exclusive worldwide launch of the F124 bass enclosure. The Netherlands – EM Acoustics is proud to reveal HALO Arena at ISE 2018, the system that takes HALO Compact design values to the next level. 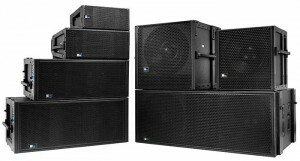 HALO-C made an enormous impact when it was first launched in 2012; never before had a modular line array system provided such detail, clarity, and crystalline sonic performance. 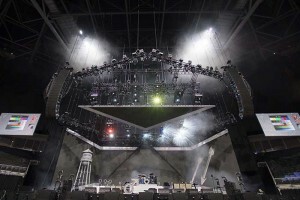 Five years on and EM Acoustics is ready to make the same kind of impact in the arena sound reinforcement market; built on the same core design intent as the much smaller HALO-C, HALO-A takes overall SPL capability to a level suitable for much larger applications, both fixed installation and touring. 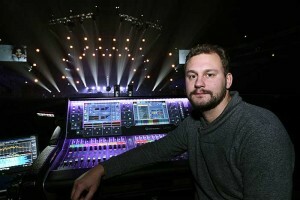 France – Elation Professional has announced that Best Audio & Lighting has been appointed the new distributor for Elation Professional products in France. 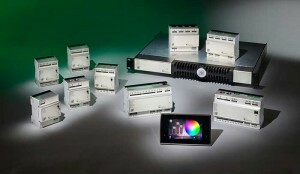 Best Audio & Lighting, part of the Dushow Group, began in the entertainment technology industry 30 years ago as an importer of Meyer Sound products but has grown over the years to encompass both audio and lighting products. Spain – Clair Brothers newest distribution partner, Spain’s VTècnics, is proving already it believes in Clair Brothers products by making the decision to upgrade its own touring PA to the innovative new C12 system. Immediately on the heels of joining up with the loudspeaker leaders as a distributor, the strategically opportunistic VTècnics wasted no time strengthening their new partnership with this purchase. 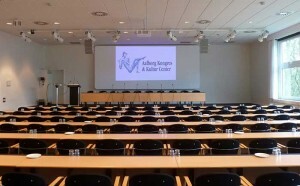 Denmark – The Aalborg Kongres & Kultur Center (AKKC) is one of Scandinavia's largest conference and cultural venues, welcoming more than half a million visitors each year to live music and theatre, fairs, exhibitions, conventions and other meetings. The recent installation of four more Alcons Audio systems has meant anyone can deliver the highest quality presentation, with no technical assistance required. UK - Artistic Licence has launched its newly designed website at www.artisticlicence.com. The URL remains unchanged, but the logical and intuitive structure of the new website should give customers a much better experience overall. In particular, finding and ordering products is a simple process, with all the features expected of a modern e-commerce platform. The Netherlands - At ISE 2018, taking place from 6th - 9th at RAI Amsterdam Convention Center, Sennheiser will be presenting its business solutions portfolio, focusing on the topic of digital workflows. 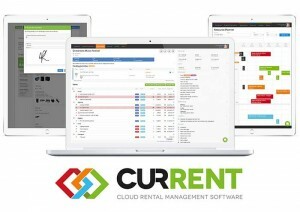 The audio specialist will show software that facilitates the daily work of IT and AV professionals as well as end-users, including the latest version of Sennheiser Control Cockpit software for simpler operation, control and servicing of Sennheiser microphones. In addition to the SpeechLine digital wireless system, the new update brings full control of other microphone solutions such as the Digital 6000 and the evolution wireless G3 series. In a live demo room, visitors can get hands-on and try the latest Sennheiser products for meeting events in a realistic set-up. Meanwhile, to learn more about key developments in digital communication, a program of presentations and lectures will be taking place in the Speaker’s Corner. Visit Sennheiser at Booth 2-B50 to experience the future of business communication. 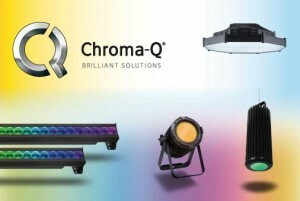 UK – Chroma-Q will showcase their latest award-winning LED lighting solutions for theatre, rock & roll, corporate and architectural applications at PLASA Focus Glasgow 2018, SEC, 17th - 18th January. 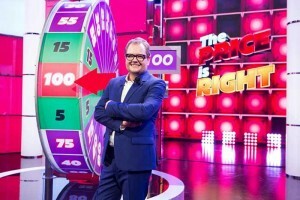 UK – Helping to bring a touch of nostalgia to TV screens across the UK, illumination specialists LED Creative has supported scenic designer Chris Webster and lighting director Dave Davey on Talkback Thames’ recently revamped The Price is Right. 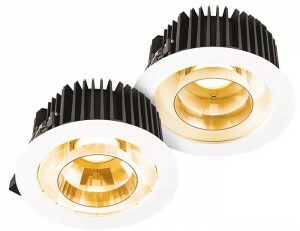 Richard Martin Lighting has announced the launch of its new and improved website. UK – Imelda May recently completed a short run of concert dates with a commanding performance at the Royal Albert Hall, where Bob Geldof and Ronnie Wood were among her special guests. 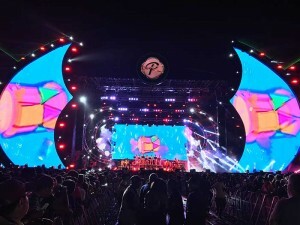 USA – Full service entertainment production provider Technical Entertainment Services (TES) of south Florida recently turned to Elation Professional’s IP65-rated Proteus Hybrid moving head fixture for unconstrained beam and mid-air looks on the 2017 edition of the Riptide Music Festival. 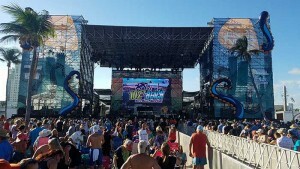 Sure, attendees come to Riptide for the great music and relaxed beachside atmosphere, but they expect a visually stunning show as well, rain or shine, and that’s just what TES delivered. 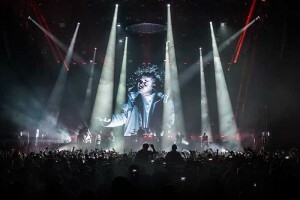 Worldwide – British ‘virtual band’ Gorillaz have headed out on their much anticipated worldwide Humanz tour with a bigger than ever light and video experience. Delivering the tour’s sophisticated light show is lighting designer Matt Pitman who this year has expanded his rig to include the Claypaky Mythos2. UK – There are a few givens with a Prodigy show: the first is that they are arguably one of the best live acts around, and 27 years after they first exploded onto the big-beat electronic scene chaos, anarchy and a riot of sound and light are still all vital to the mission of getting the energy, buzz and attitude of the music right out there to all the fighters in the room! USA – A sense of expectation runs like an open road through the flowing music of Counting Crows. The multi-platinum band’s songs don’t play out, so much as unfold, taking listeners on a journey that holds out the promise of something new happening just around the bend. 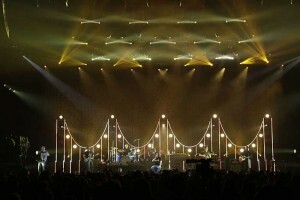 Mike Zielinski, the band’s long-time lighting designer, captured this wayfarer quality on their recent “A Brief History of Everything” tour, co-headlined with Matchbox 20, by creating a suspension bridge-style backdrop that spanned the width of the stage. Anchoring the evocative structure were 25 Chauvet Professional Strike 1 fixtures supplied by Upstaging, Inc.
With a simple Ethernet connection, Symphony I/O Mk II’s industry-leading sound quality can be easily accessed from a computer, shared between multiple rooms, multiple computers and supercharged with almost infinite real-time DSP power via Waves SoundGrid servers. Symphony I/O Mk II SoundGrid integrates seamlessly with all DAWs, providing endless possibilities for set-ups of every size for studio, live and post production workflows. UK – A.C. Entertainment Technologies (AC-ET) Ltd. Will be showcasing many UK-exclusive and other product highlights from its extensive portfolio of over 200 brands at PLASA Focus Glasgow 2018, SEC, 17th - 18th January. 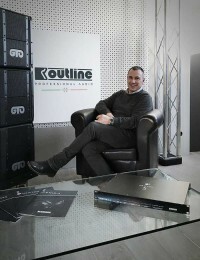 USA – Outline Srl, Italy’s most prestigious loudspeaker systems manufacturer, has announced the expansion of its home offices with the formation of Outline US. Newly created, owned and operated by Jeffrey Cox and Jason Farah, Outline US is the sole representative of Outline Srl in the United States and Caribbean. USA – When the Church of Notre Dame in Western Pennsylvania started to experience audio challenges with its existing boundary podium microphone, it knew a change was in order. The church was looking for a more versatile mic that was capable of clearly amplifying every person who spoke at the lectern. 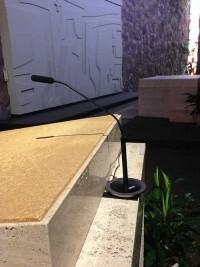 The new solution needed to be able to be mounted to the church’s all-marble podium, while also being long enough to reach over the height of the podium shelf where the speaker would place their reading materials. UK – PLASA has announced the final additions to the programme for PLASA Focus Glasgow 2018 taking place at the Scottish Event Campus (SEC) 17th - 18th January. Free registration is still open for the show which offers inspiring seminars, technical workshops, and cutting-edge training sessions. 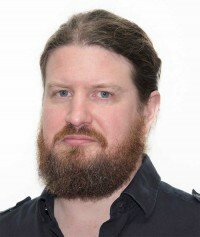 UK - PLASA, the Professional Lighting and Sound Association, has announced changes to its elected board including the appointment of Adam Blaxill (pictured) as the new chair. The Netherlands – At Integrated Systems Europe (ISE) 2018 in Amsterdam, Meyer Sound will exhibit a wide array of cutting-edge audio technologies, contribute to education through the AVIXA professional development programme and participate in the 11th annual InAVation Awards. 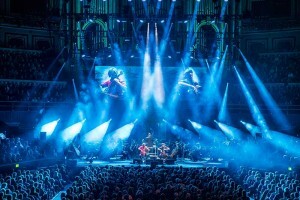 Europe – Lighting and video rental specialist Colour Sound Experiment has invested in new Robe MegaPointe moving lights, Blackmagic video control technology and new pre-rigged trusses, all of which is out on the current 2CELLOS tour playing arenas in key capital cities around Europe. 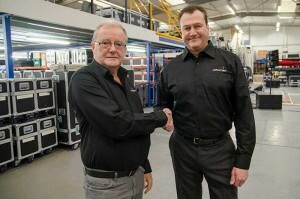 UK – Technical production specialists Light Fantastic Production Services has just made a large investment in the latest Robe moving light technology. 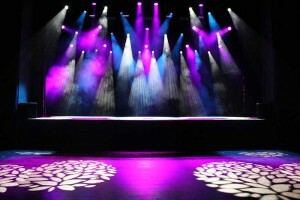 The order includes Robe’s brand new MegaPointe and LEDBeam 150 moving light fixtures plus a selection of Pointes, Robin 600 LED washes and DL4X Spots in a custom white bodied finish. USA – It wouldn’t be the holidays without Christmas music, and Pentatonix, the three-time Grammy-award winning a cappella group brought the sounds of the season on their recently wrapped tour to thousands of fans. 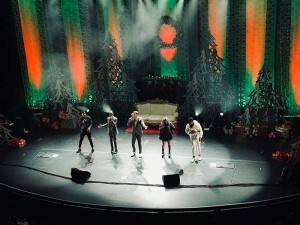 Bandit Lites provided the lighting package for the 14-show tour which featured the international sensations performing songs from their certified platinum deluxe album, A Pentatonix Christmas. 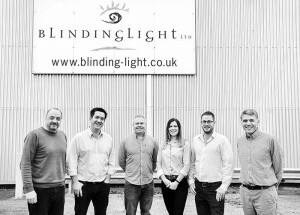 UK – TSL Lighting has announced that it has agreed to acquire the corporate and event lighting specialist, Blinding Light. 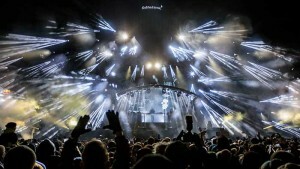 USA – Chauvet DJ has a long legacy of leading the way with lighting innovations. That tradition will continue at the 2018 NAMM show, as the company introduces cutting-edge additions to its wireless Freedom series, a smart, versatile new version of its popular GigBAR and a host of other new products that are destined to raise the bar in their categories. USA – The latest development in the ETC and High End Systems story sees the formation of a closer alliance between High End Systems and ETC’s international subsidiaries – ETC Ltd, ETC GmbH and ETC Asia. Taking the reins from the former European master distributor, AED Distribution, ETC Ltd and GmbH will now be responsible for the distribution of High End Systems products in Europe, the Middle East, India and Africa (EMEIA). Meanwhile, ETC Asia will take control of distribution for the Asia Pacific (APAC) region. 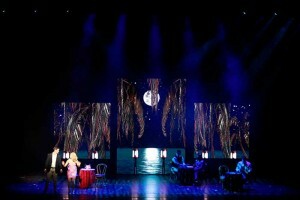 China – Legally Blonde – The Musical opened in December to fabulous reviews in Shanghai’s most prestigious Culture Square Theatre at the start of its China National tour. From China it will move to Singapore’s Marina Bay Sands Grand Theatre in May, before returning to the USA in October 2018. Produced by Big League and directed by Jeff Moss, with choreography by Grinch veteran, Bob Richard, Legally Blonde the Musical is a sparkling celebration of pop culture with appeal for all the family. 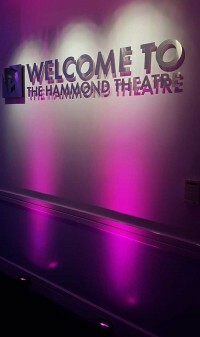 UK – The Hammond Theatre is a contemporary theatre situated in West London. 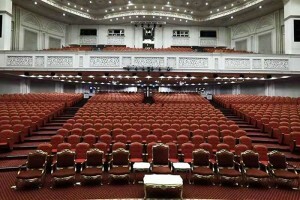 Seating 380 people, the venue features a range of performances and attracts professional companies from all across the UK. It is also an accredited venue for National Theatre Live, Royal Opera House and the Kenneth Branagh Theatre Company screenings. The venue recently decided to upgrade a range of its existing fixtures and approached WL to supply them with the latest equipment. The Netherlands – On stand U265 in Hall 15, at this year’s Integrated Systems Europe (Amsterdam RAI, 6th - 9th February), Powersoft will launch the new Duecanali 804 and Duecanali 4804, a two-channel amplifier platform with optional DSP and Dante dedicated to the fixed install market, and the perfect answer to system integrators’ needs for a high-performance amplifier solution in leisure and retail spaces. 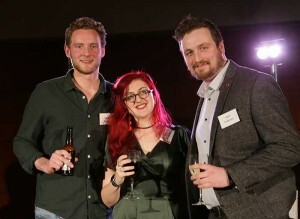 UK – The Association of Lighting Designers (ALD), has announced the winners of its prestigious Michael Northen Award, at the Annual Lighting Lunch, which took place in London on Monday, 18th December, 2017. The Netherlands – The TivoliVredenburg in central Utrecht features seven different music performance spaces and is in the process of having its house and public area lighting upgraded with Anolis Ambiane RGBW LED luminaires. 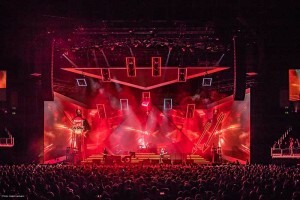 Worldwide – The Killers have again taken Capital Sound’s MLA PA on their current world tour, with the British Isles leg culminating in two spectacular nights at London’s O2 Arena. USA – Allen & Heath will present a wide range of must-attend classes at the inaugural “AES@NAMM Pro Sound Symposium” to be held concurrently with the 2018 NAMM Show. 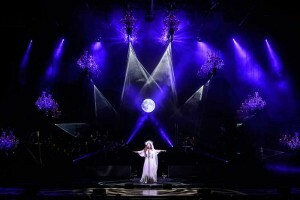 Europe – Legendary soprano, Sarah Brightman relied on Allen & Heath dLive systems for both FoH and monitor duties on her Royal Christmas Gala tour. UK – It is with much sadness that the ALD must report that internationally acclaimed lighting designer and ALD Fellow Mick Hughes passed away on 4th January 2018. 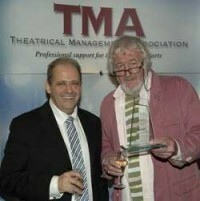 Much admired for his simple, clean and effective approach to lighting design Mick had a long list of credits across nearly 50 years of work in UK Theatre collaborating with many high-profile directors, designers and venues including Harold Pinter, Sir Alan Ayckbourn, the National Theatre, Chichester Festival Theatre and the Royal Court Theatre. 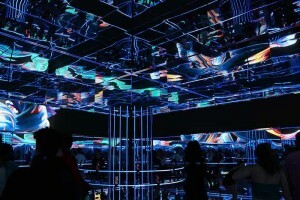 UK – Thousands of festival-goers experienced the uniquely interactive audio-visual environment of the Samsung Hypercube as part of Samsung's S8 phone UK launch this summer. The Samsung Hypercube toured its mind-boggling '360 Infinity Selfie' Experience to Boardmasters, Bestival and Reading festivals, with Avolites' Ai media control at the heart of its complex technical infrastructure. South Africa – The prestigious Vodacom CEO Awards recently took place at Vodaworld in Midrand, South Africa. For the very first time, full service rental company MGG was appointed to supply complete technical requirements for the event, which had a modern vintage theme. 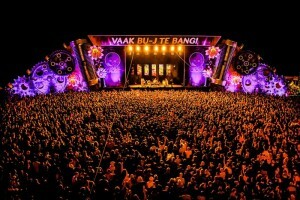 Audio engineer Fanie Pieterse ensured the theatrical performance was complemented with exceptional sound, deploying a DiGiCo SD10 and his brand new DiGiCo 32-bit ‘Stadius' Mic Pre-Amp for the live sound aspects. UK – Lighting designer Davy Sherwin has created a 'formidably cool' lighting set for Wolf Alice's latest Album campaign, Visions of a Life. Conceived in collaboration with the band to keep the focus tightly on-stage, Sherwin's stripped-back yet versatile design supports what The Guardian's Gwilym Mumford describes as an "exuberant jumble of dream-pop and grunge", confidently melds with the emotional peaks and troughs, uncertainty and angst of Wolf Alice's catalogue. USA – For most of us in the Music and Pro Audio industries, New Year's marks more than just tacking a new calendar on the wall. 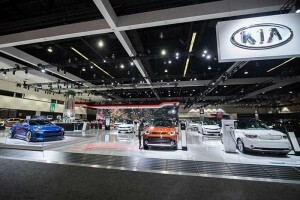 Each January, the industry makes its yearly pilgrimage to Southern California, home of the annual NAMM Convention. This year, the show will be bigger than ever, and Renkus-Heinz will be a part of it all. 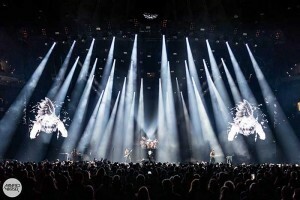 Independent lighting and show designer Patrick Rabus, who often works as a light operator as well, likes to rely on SGM luminaires for his shows, and took full advantage of SGM's new, unique all-in-one P-10 for the recent ITCHY tour. Penn Elcom exhibits at Bett 2018 for the first time at the end of the month. The Netherlands – ETC is heading to the Netherlands for the biennial CUE exhibition, taking place at Rotterdam Ahoy, 15th - 17th January. 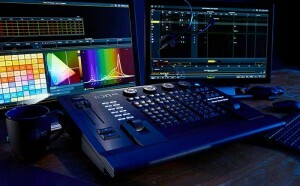 The new ColorSource CYC luminaire, the recently launched Ion Xe lighting control console, and products from ETC’s successful rigging portfolio will be making their Benelux debut at the event. 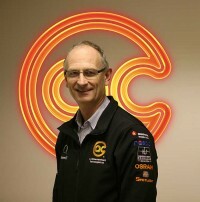 Visitors can expect a warm welcome from ETC, who will be offering product demos, hospitality and giveaways on stand 101. 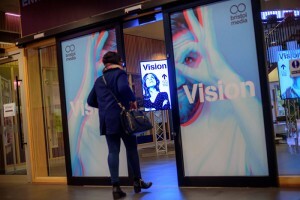 The Netherlands – Highlite will once again be taking part in this year’s CUE exhibition in Rotterdam. The company hase many fantastic products to show. Come and visit us at stand number 307 from 15th to 17th January 2018. 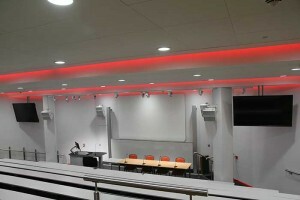 UK – Mountview Academy of Theatre Arts, one of the UK’s foremost drama schools and recognised as one of the best places in the world to train in musical theatre, utilised effects lighting fixtures from leading brands Chroma-Q and ProLights for its recent annual Christmas Concert, supplied by A.C. Entertainment Technologies Ltd (AC-ET). 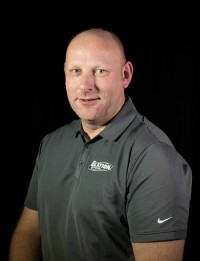 USA - Elation Professional has announced that one of the lighting industry’s most knowledgeable, experienced and affable professionals, Matthias Hinrichs, has joined the company as a product manager. 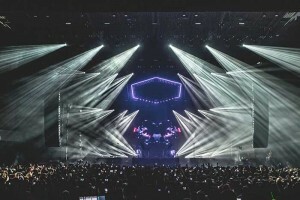 USA – Uniting superlative sounds, underground cool, popular acclaim and some amazing musicianship – horns, a guitarist plus breathtaking six-person synchronised drumline – Seattle-based duo ODESZA (Harrison Mills, Clayton Knight) take the whole concept of ‘electronic’ and ‘live’ to new levels. USA – This holiday season rocked a little harder thanks to the iHeartRadio Jingle Ball Tour, presented by Capital One. 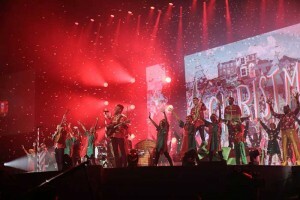 The 12-city holiday concert tour ran from 28th November to 7th December. Select dates included Taylor Swift, Ed Sheeran, Sam Smith, the Chainsmokers, and many more, with a spectacular lighting rig including many Solaris Flares! 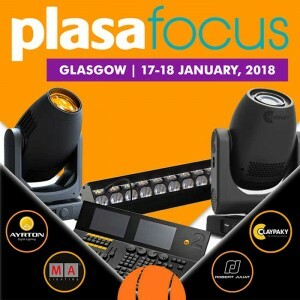 The Current RMS team will be starting the New Year meeting new faces and catching up with existing customers at PLASA Focus Glasgow this January. They’ll be sharing with them their latest feature releases from 2017 and some exciting new ones on the horizon for the next 12 months. Europe – “In the beginning, we didn’t know how the tour would be received. It’s been quite some time since the last one,” was how Gorillaz lighting designer Matt Pitman voiced a common anxiety that afflicts artists and producers alike. They needed have no fear there: Gorillaz latest outing has proved one of the must-see events of 2017. The band, production and technology have all conspired to present something so much more than a bunch of musicians in front of a giant TV screen. USA – Roughly 7,000 dairy farms closed in Wisconsin between 1993 and 1998 according to the US Department of Agriculture, part of a reorganisation of production facilities in America’s 'dairy state'. Most of their barns faded from the landscape, either absorbed by the tall grass fields around them, or replaced by other buildings. 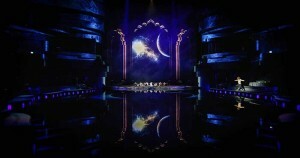 UAE – La Perle by Dragone is the Middle East’s first resident show, featuring a cast of 65 artists including acrobatics who perform aerial and aquatic stunts, flying through the air and diving into an on-stage pool. This immersive production is staged in a lavish, purpose-built, 1,300-seat theatre in the heart of the newly constructed, multi-use Al Habtoor City in Dubai. The theatre is not only vast, but is a complex space, with real estate for the L-Acoustics audio system shared with automation lines, water pipes and nozzles for water effects, as well as lighting, projection and rigging. The Netherlands – From stricter production requirements to climate change: the challenges for the event industry are particularly diverse. 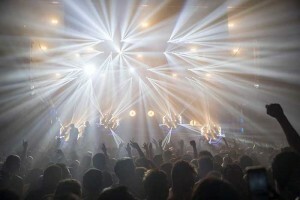 According to Prolyte Group, far-reaching co-operation is needed to meet these challenges. The company takes its responsibility as market leader in the construction of entertainment constructions, underlining this by organising a discussion panel at the EPIC conference. 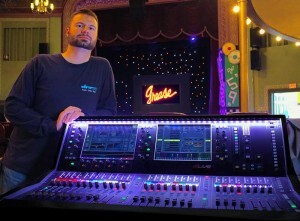 USA – As part of a major audio upgrade the historic Thomaston Opera House in Thomaston, Connecticut recently added an Allen & Heath dLive S Class digital mixing system with an S5000 Surface, DM48 MixRack and DX32 Expander. The Opera House is home to the Landmark Community Theatre which performed “Spamalot”, “Hairspray”, “Grease”, “Mamma Mia!”, “The Diary of Anne Frank” and “It's a Wonderful Life” during its 2017 season. 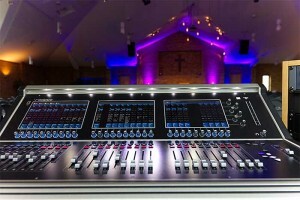 UK – Reigate Baptist Church in Surrey has recently invested in a DiGiCo S31 digital mixing console, purchased through sales and installation company, Stage Electrics, as part of a complete audio upgrade. USA – AGI, a leading provider of technologies for worship on the U.S. West Coast, has joined the Adamson Network and is now providing sales and integration services with Adamson’s premium loudspeaker products. Coinciding with the new partnership, the Eugene, OR-based technical solutions provider installed a benchmark S-Series audio system at Capital Christian Center in Sacramento, CA. UK – As New Year announcements in the events industry go, one that will certainly shake things up in the UK and Europe is Protec’s latest statement. 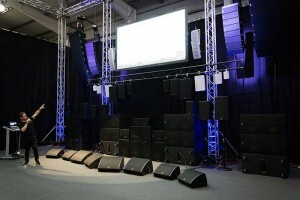 Having established itself as a global powerhouse in staging and event technology services, the Dubai headquartered company is now strengthening its presence in the UK with its acquisition of Birmingham based Aventeq Ltd.
USA – Clair Brothers, an American company and professional sound reinforcement innovator specialising in designing and manufacturing high-quality loudspeaker systems, has announced the addition of two new companies in its growing sales network: the Marshank Group and Quest Marketing. USA – Scorpions, the multi-platinum German heavy metal band, has wrapped the first North American leg of the Crazy World Tour 2017 with Megadeth. 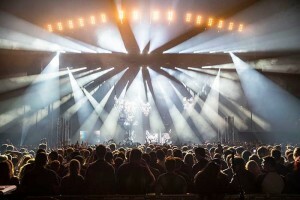 A large complement of Claypaky fixtures hit the road with the legendary rockers. 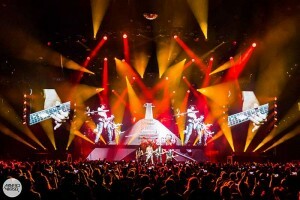 Worldwide – Philips Lighting has announced that its unique stage lighting fixture, the Philips VL6000 Beam, is delivering a powerful impact for the Crazy World concert tour by German heavy metal band, The Scorpions. Continuing to deliver practical innovations that address disruptive AV industry trends, Atlona is now shipping the AT-UHD-SW-510W 5x1 universal switcher with wireless presentation capabilities. 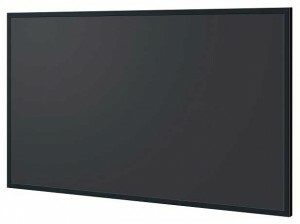 Cost-efficiently supporting the bring-your-own-device (BYOD) movement sweeping across corporate, educational and other commercial AV environments, the SW-510W combines unprecedented input flexibility with powerful integration features including automatic display control, automatic input selection, and mirrored HDMI and HDBaseT outputs. Serbia – Perched along the banks of the Danube river some 60 miles from the hustle and bustle of capital Belgrade, the city of Novi Sad has been traditionally renowned for its relaxed and welcoming character. In recent years, however, the local character of Novi Sad has expanded by a collection of locally hosted, but internationally renowned music festivals, including the infamous “Exit” and the Novi Sad jazz festival. 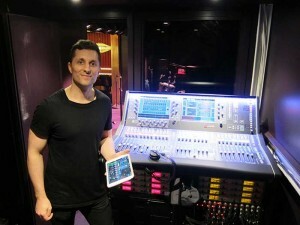 UK – Allen & Heath has announced a partnership with Cato Music that will see Cato’s South West London rehearsal studios and production facilities outfitted with an extensive array of Allen & Heath products, from QU series consoles to the flagship dLive mixing system. 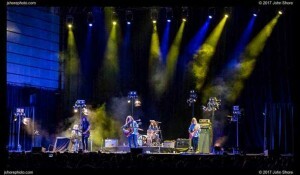 USA – Following the October 2017 release of their collaborative album Lotta Sea Lice, Courtney Barnett, a Grammy nominated Australian singer-songwriter, and American singer-songwriter Kurt Vile hit the road for a co-headlining tour with a lighting package provided by Bandit Lites. 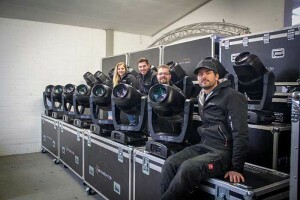 Germany – Kassel-based event service provider JS Event & Medientechnik recently invested in 24 XR 440 BWS moving heads from PR Lighting, responding to the ever-increasing quality demands of events of all sizes. 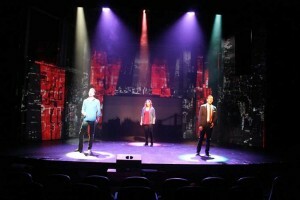 This was the company’s first investment in PR Lighting technology, and all fixtures were supplied by Focon Showtechnik, PR Lighting’s German distributor. USA – Old Dominion, winners in the New Group category at the 2016 Academy of Country Music Awards, have been going from strength to strength. Busy independently touring its recently released album Happy Endings, and supporting the likes of Kenny Chesney and Thomas Rhett the band has also been confirmed for Chesney’s Trip Around the Sun stadium tour in 2018. 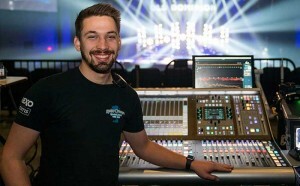 Earlier this year, front of house engineer Ian Zorbaugh (pictured) and monitor engineer Dean Studebaker both decided to take SSL L300 Plus consoles (supplied by premier event production company Morris Lighting & Sound) on the road with Old Dominion, and haven’t looked back since. UAE – At the end of August an exciting event took place at Al Habtoor City in the heart of Dubai. 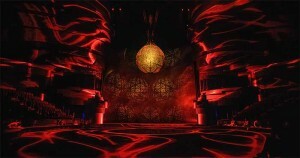 La Perle, the spectacular new acrobatic water show from Franco Dragone, opened its doors for the first time in a purpose-built, 1,300-seat, theatre designed by renowned set designer, Jean Rabasse, and executed by Khatib and Alami Architects and theatre consultants Auerbach Pollock Friedlander. 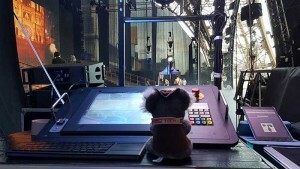 Robert Juliat is proud to be a part of it, with four of its Cyrano 2500W HMI chosen as La Perle’s followspots. 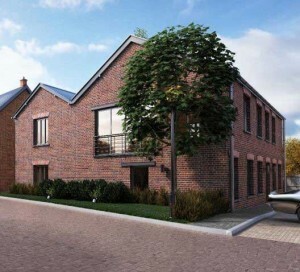 UK – Oh no they didn't! Oh yes they did! 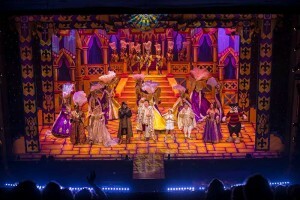 The lighting team at The Grand Theatre Blackpool is using an Avolites Tiger Touch II console to control the magical light show for the historic theatre house's star-studded Christmas pantomime performance of fairy-tale classic, Cinderella. 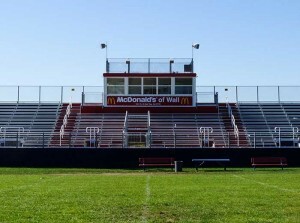 USA – Wall High School is located in Wall Township, a well-established suburban community in Monmouth County, NJ. Wall High is the senior school of Wall Township Public Schools, which also includes a primary school, four elementary schools and an intermediate school, which together educate around 3,650 students a year. 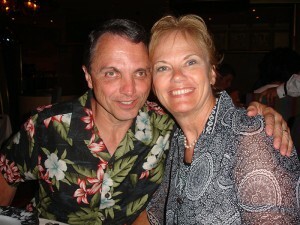 USA – Margie Kirby joins husband Rik Kirby at the helm of Allied Professional Technologies where she’ll be extending the company's services further into the marketing realm. With over 28 years of experience in the professional audio industry Kirby most recently held the post of director of marketing at Renkus-Heinz prior to which she held marketing and trade show management roles with TEAC’s Tascam division. UK – POLAR, established supplier of key industry brands to the installation, MI and professional audio markets, has announced that it is to become a Commercial UK distributor for US-based AV distribution specialist, ZeeVee. 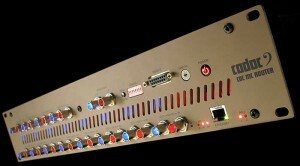 ZeeVee is an industry-leading developer and manufacturer of AV over IP technologies. ZeeVee possesses unrivalled expertise in encoding and decoding technology, enabling the delivery of unsurpassed picture quality, reliability and ease of use across a host of applications. Education, government, corporate, healthcare, broadcast, entertainment, retail and housing offer a virtually limitless sphere of application for ZeeVee solutions and its list of blue-chip clients attests to the high regard in which the company is held. POLAR will carry ZeeVee’s full AVoIP product range offering solutions for all network bandwidths, budgets and applications. 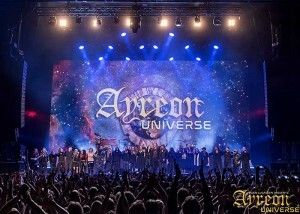 The Netherlands – Dutch astronaut André Kuipers presented his SpaceXperience Live show as the central element of a larger conference / expo style event at Amsterdam’s Ziggo Dome, an immersive intergalactic journey staged in-the-round, with Kuipers relating his many stories and real life experiences working in space on various ESA programmes. 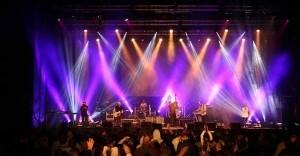 Australia – NW Group provides seamless technical solutions for live events across Australasia. 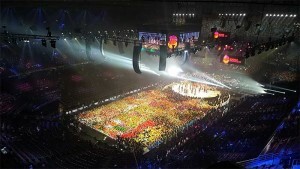 Its audio specialist brands, Norwest and Oceania, have been users of L-Acoustics product since its first Kudo purchase in 2006 for the Melbourne Commonwealth Games and Asian Games in Doha. It has recently added 370 L-Acoustics cabinets to its inventory, including a substantial L-Acoustics K2 system, in anticipation of the upcoming Gold Coast 2018 Commonwealth Games. 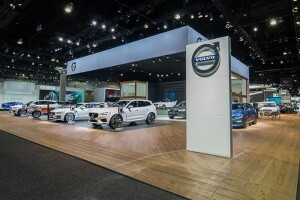 USA – It’s been said that the most powerful creations are often collaborations. 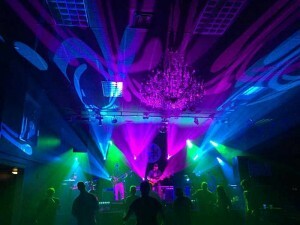 A pair of lighting designers emphatically illustrated that point recently at Portland’s iconic House of Music, when they got together to build a shared rig for their two bands with a Chauvet Professional anchored floor package. Europe – From mid-October to early December, Finnish rock band Sunrise Avenue toured across Europe on their “Heartbreak Century” tour, a run of smaller venues before the five-member band hits the road on a bigger arena tour in the new year. 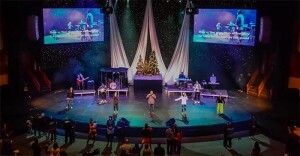 USA – Over 6,000 worshippers turned out for Manchester Christian Church’s Christmas service on Friday, 22nd December. Despite the large crowd and the spaciousness of the modern Southern New Hampshire University Arena, those who attended the service felt a welcoming sense of engagement. 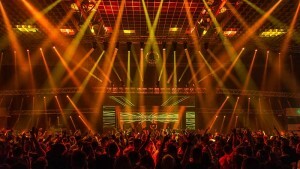 This was largely due to an immersive lighting design created exclusively by the Events United team that featured over 90 fixtures and 92 LED video tiles from Chauvet Professional. 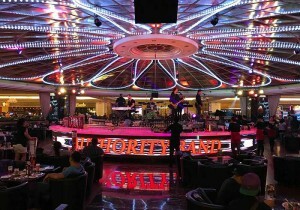 China – TrueColor is the most popular night club in this thriving Chinese city located on the Zhujiang (Pearl) River in southern China, two hours north of coastal Hong Kong. 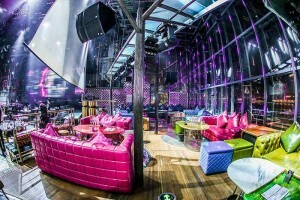 TrueColor in Guangzhou City is the flagship venue of a chain of clubs created in 1995, currently owned and managed by Alliance Art Group, one of the most famous entertainment groups in China, noted for its uncanny eye for detail in their high-end restaurant and club venues that focus on creating unique and visceral environments. 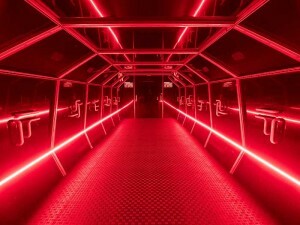 Modern in its design, innovative in its thoughtful delivery of the ultimate club experience, TrueColor Guangzhou City recently sought upgrades to its audio system. After consultation with trusted colleague Mr. Tan who represents dealer Guangzhou EGG Technologies Company, Alliance Art Group called on DMT – Clair Brothers Chinese distributor – to help make the necessary improvements on behalf of TrueColor customers. 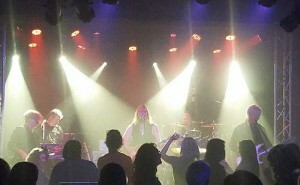 Right on the heels of a complete upgrade and redesign of the layout and style of the club in June of 2017, the decision to call on Clair Brothers made total sense. South Africa – For two days in November, the gently rolling landscape of Sandringham Farm was transformed into a village of worshippers from throughout Africa and around the world. They came to this beautiful spot outside Cape Town to listen, as Christian bands from the UK, US, South Africa and other countries performed, as well as to raise their own voices in singing gospel music. USA – When "Ghost" the movie premiered in 1990 it was a big hit so it wasn’t surprising that the romantic drama film was adapted for the stage, playing in the West End, on Broadway and a long running first national tour. 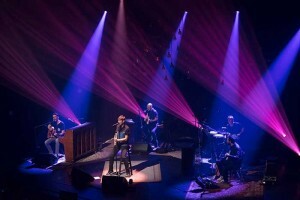 Lighting designer Matt Guminski lit a reworked version of the show recently at the White Plains Performing Arts Center in White Plains, New York, using a rig that included Elation Professional Satura Profile and Platinum Seven LED moving heads.